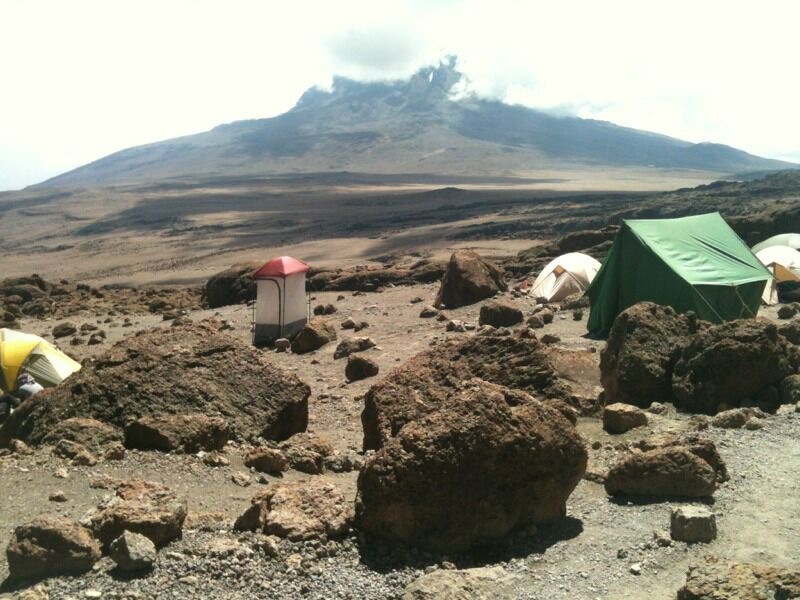 "Yesterday after lunch at Karanga Camp we decided to go to Barafu (base camp) and start the summit at Midnight. 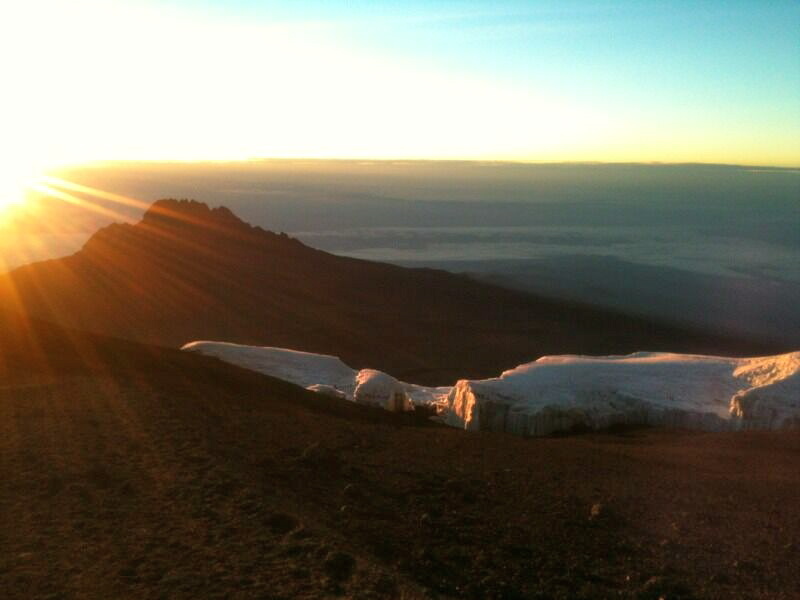 We have now arrived to the Peak of Kilimanjaro 5,895m. 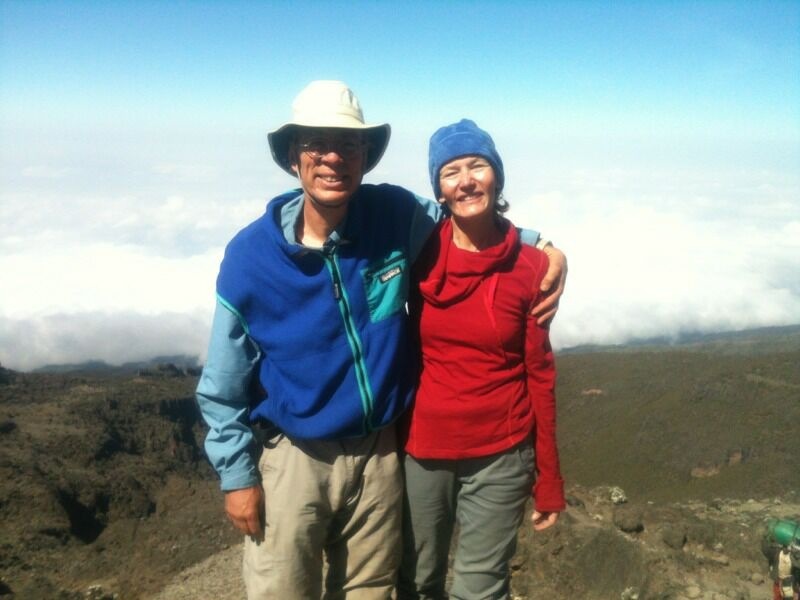 Both climber are happy and doing well. 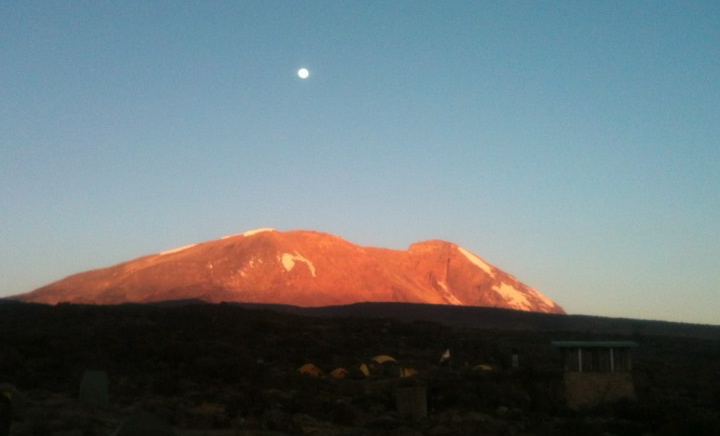 We made it at 7.36am after we left the camp at 12.20am." 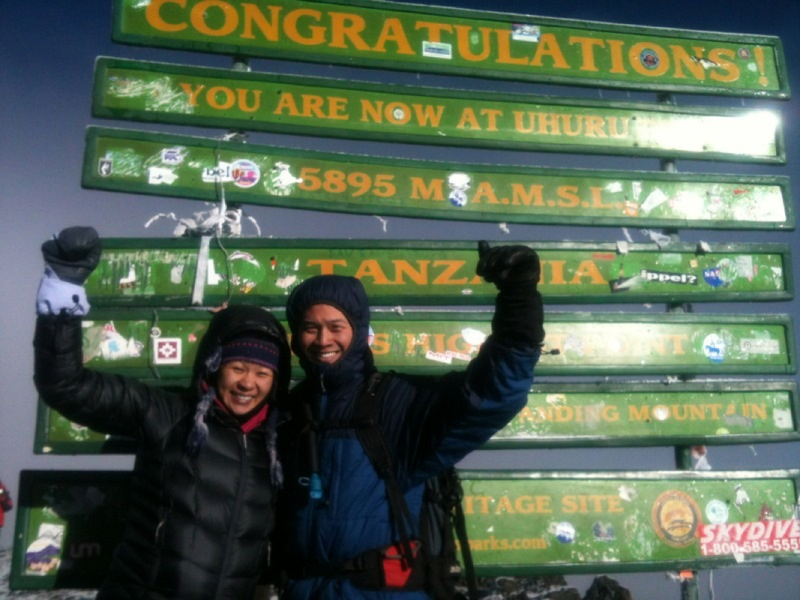 A huge congratulations to Linh and Gareth for successfully summiting Kilimanjaro. 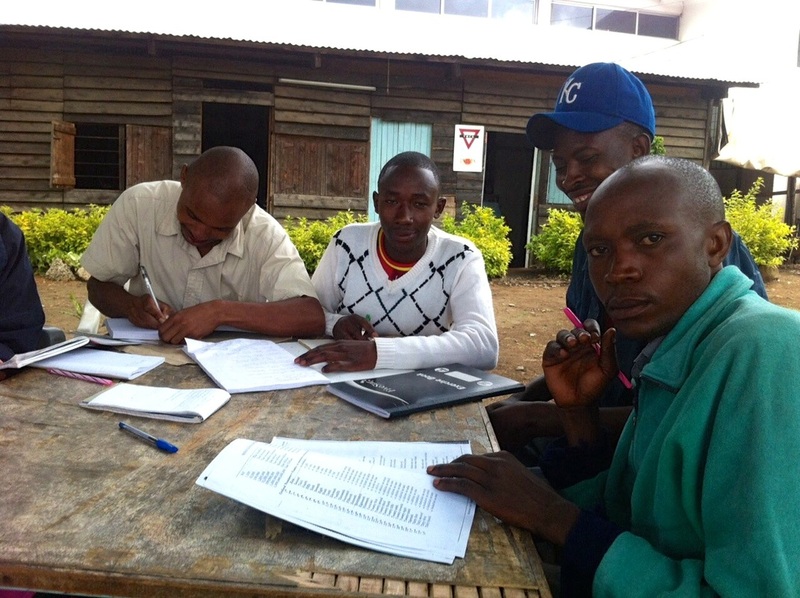 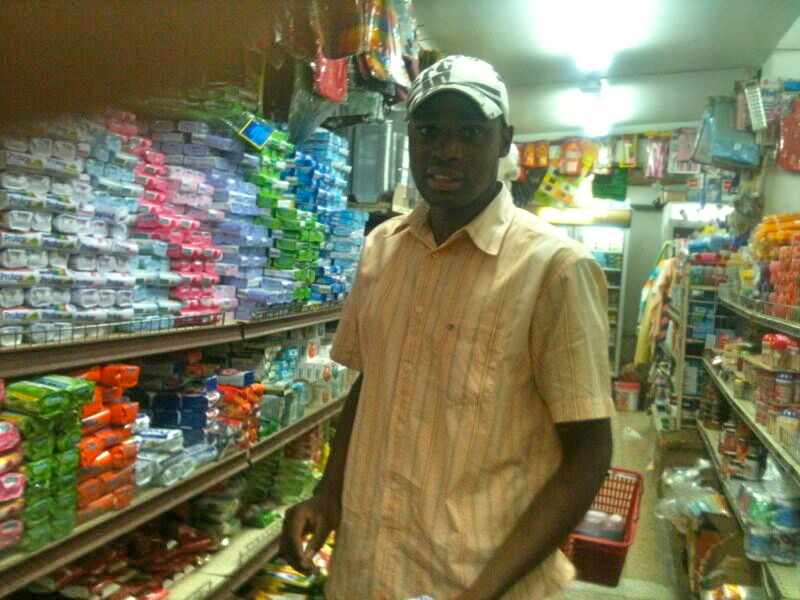 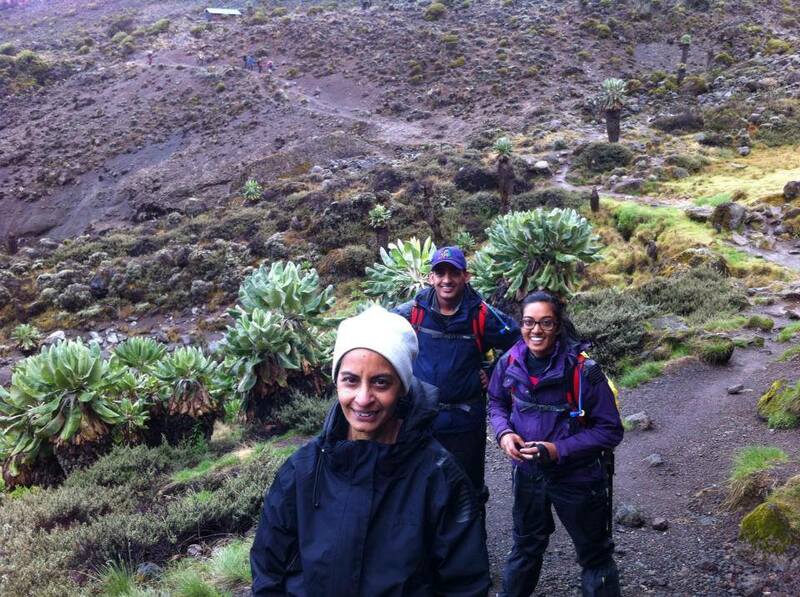 A big thank you to Tumaini and our entire team for safely leading the expedition! 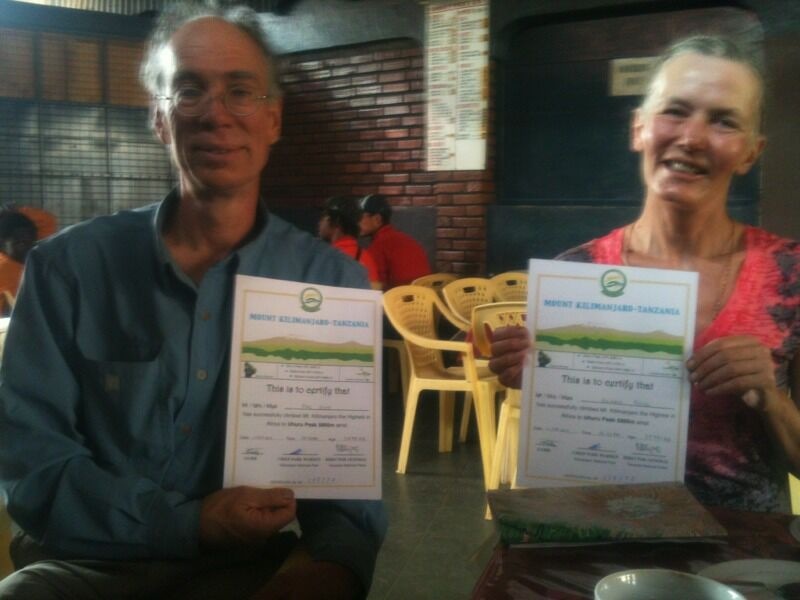 Send your message of congratulations and we will ensure they receive them. 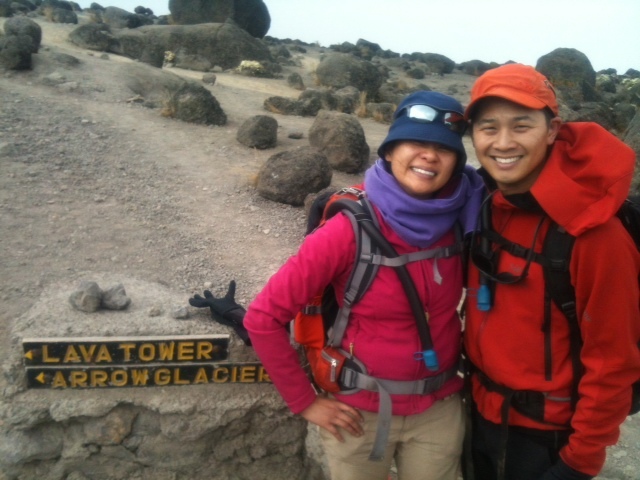 Linh and Gareth at Uruhu Peak, Kilimanjaro - the highest point in Africa. 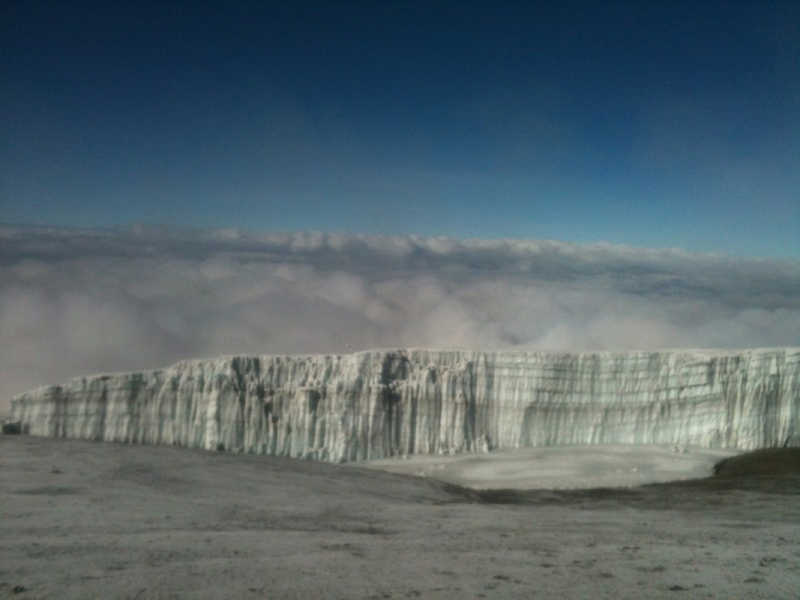 View of the glaciers from the top of Africa! 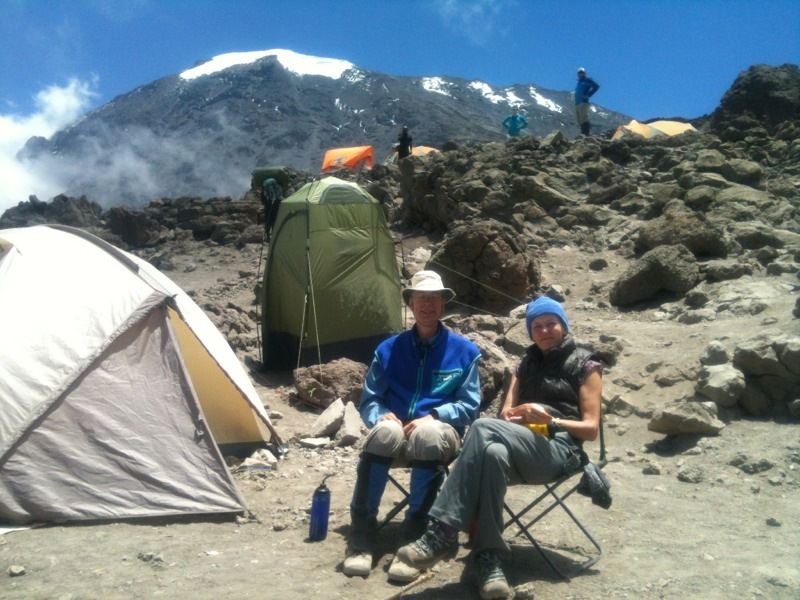 Linh & Gareth successfully completed their climb on 21st September 2013 and returned to their accommodation in Arusha. 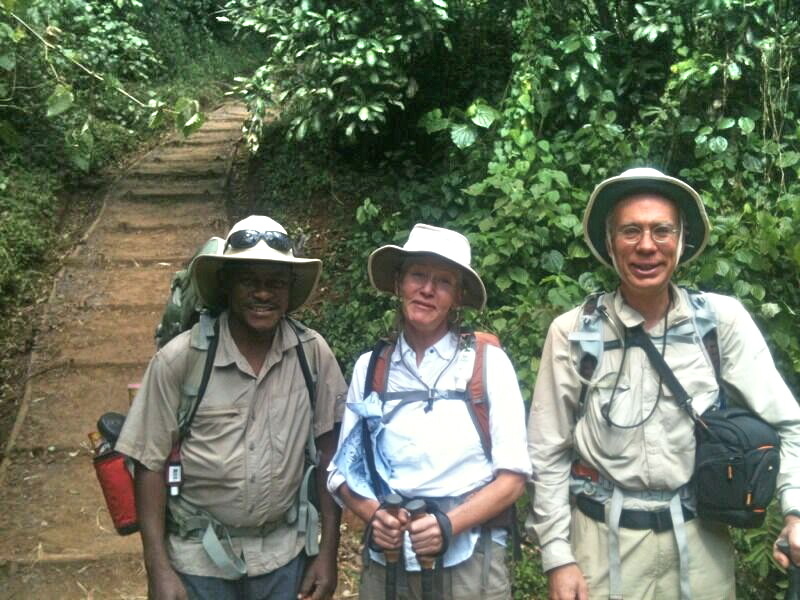 Their adventure will continue with their Safari led again by Tumaini Sandi. 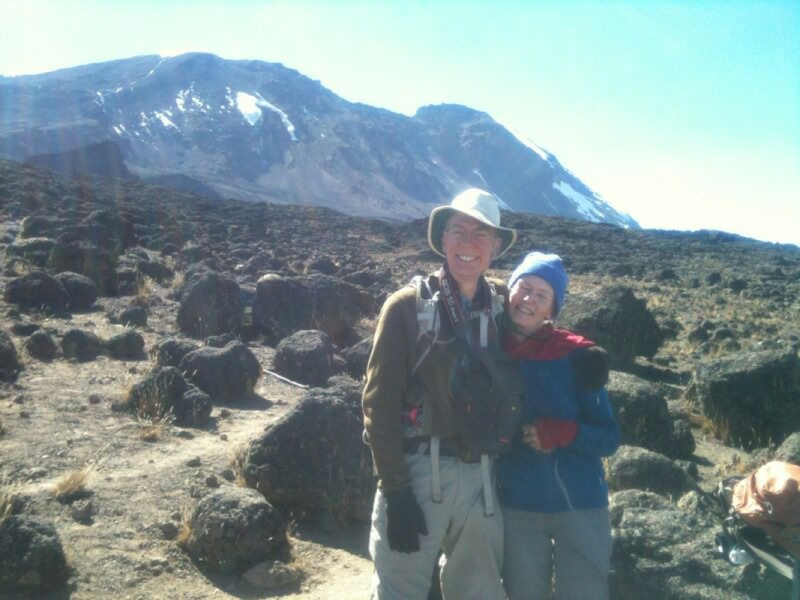 Thank you Linh & Gareth for choosing Majestic Kilimanjaro to lead you on this once in a lifetime adventure - we hope it has been a trip you will always remember. 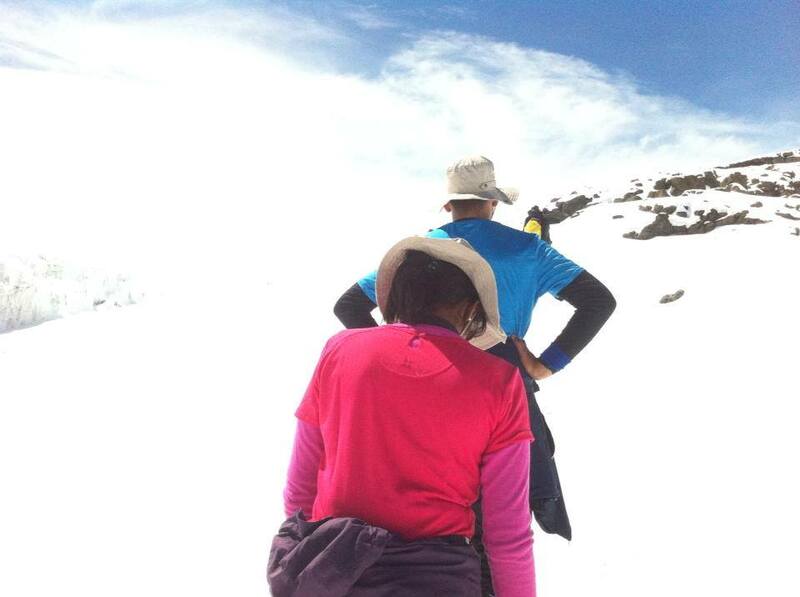 Both climbers are continuing well with the climb. 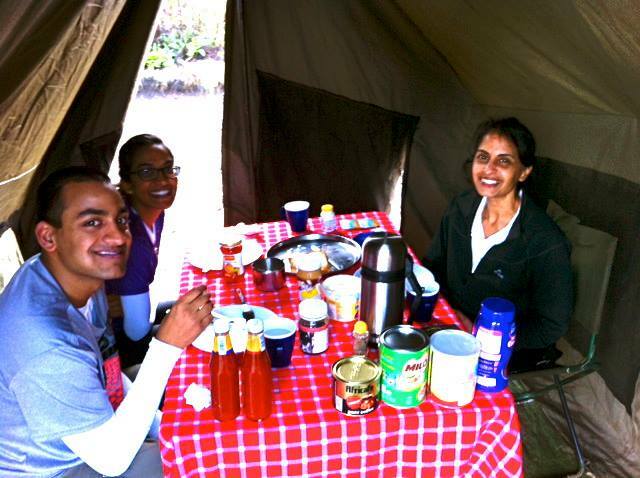 It's 11:30am and they are at Karanga Camp for now. 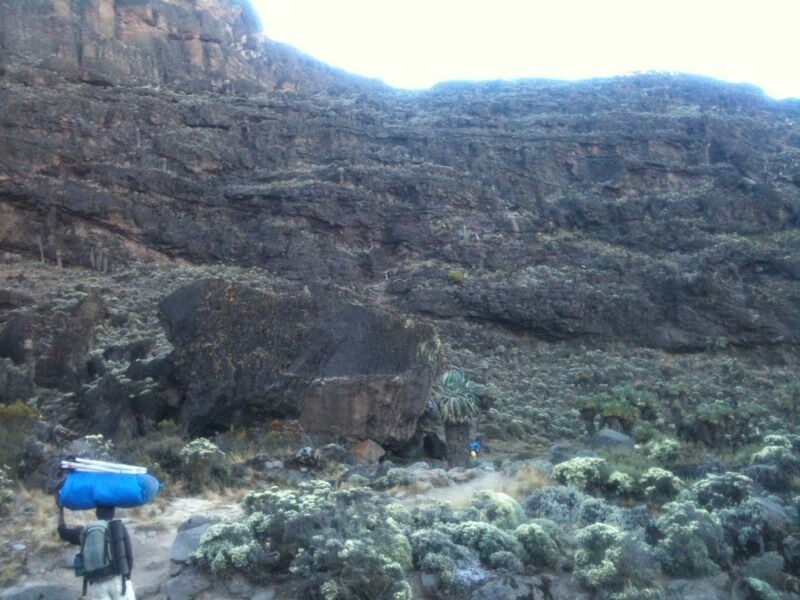 A message from Linh & Gareth to family & friends: "We are having a great time, and thanks every one for the messages keep them coming"
The team scaling Great Barranco Wall. 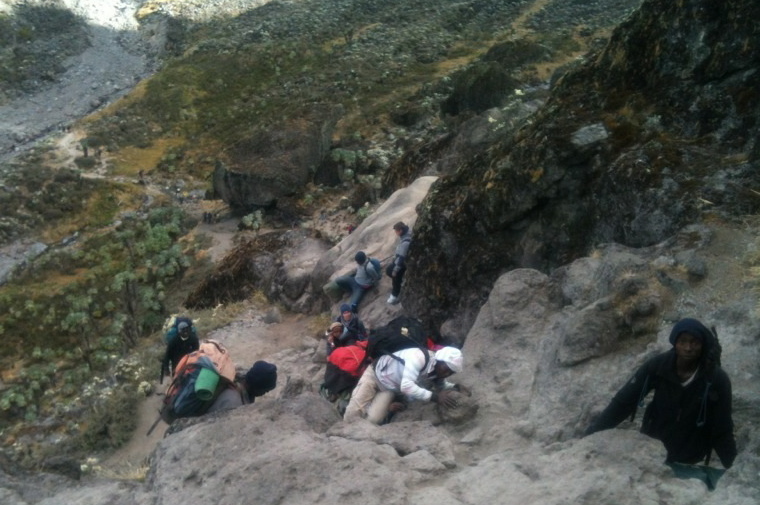 This is the only part of the trek where scrambling (using hands) is needed in order to ascend the wall. 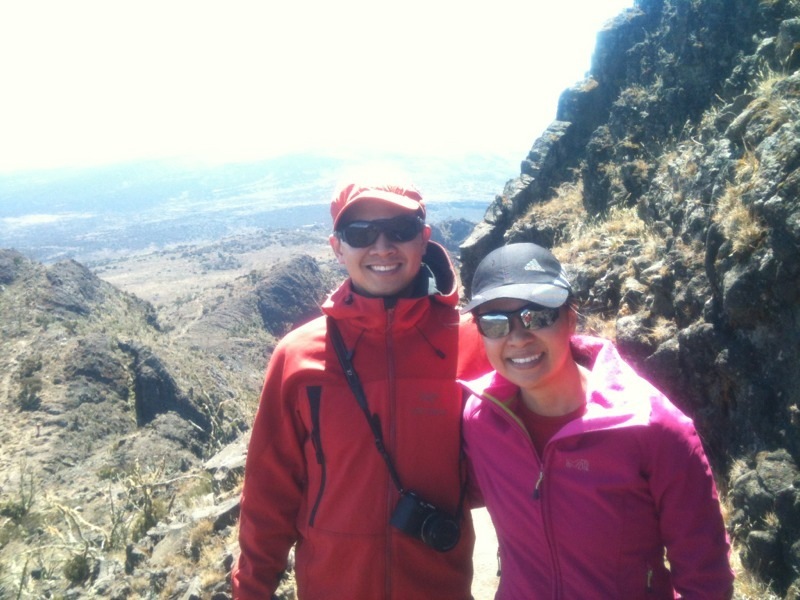 Gareth & Linh still smiling after scrambling to the top of Barranco Wall! 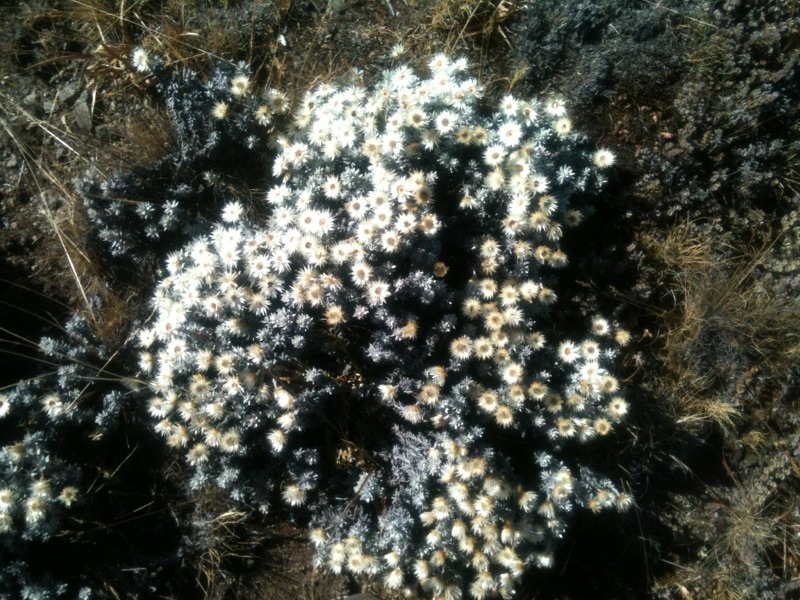 The Everlasting Flower plant dominates the alpine desert on Kilimanjaro. 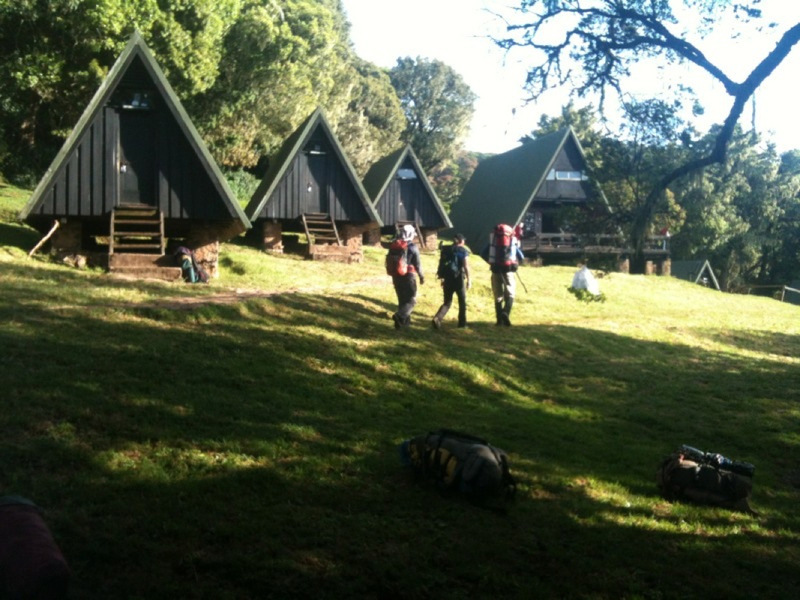 About to have a well earned rest at Karanga Camp. 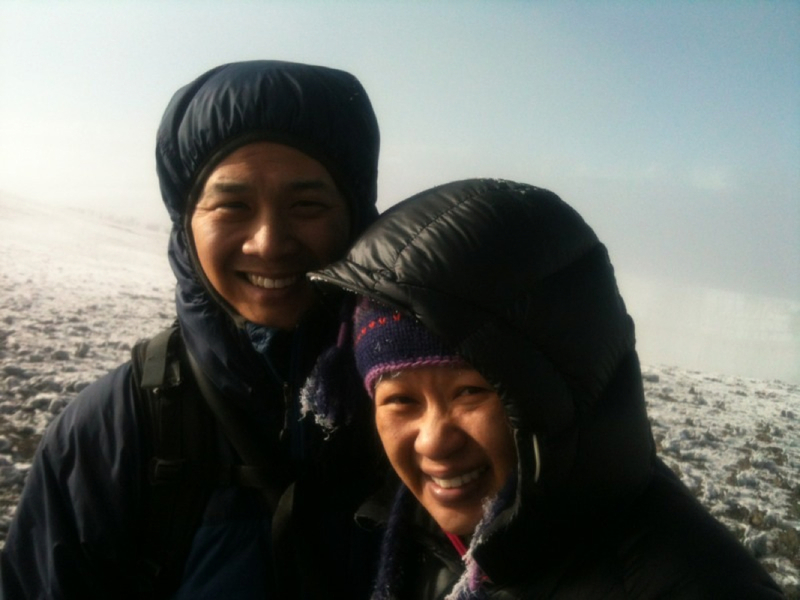 Keep your messages coming and we will forward them to Linh & Gareth. 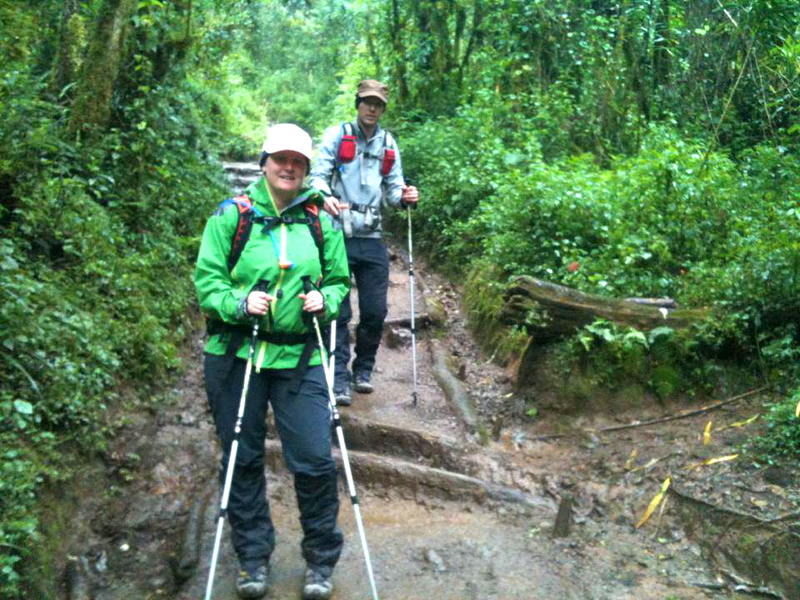 Linh & Gareth are on day four of their climb heading to Baranco Camp. 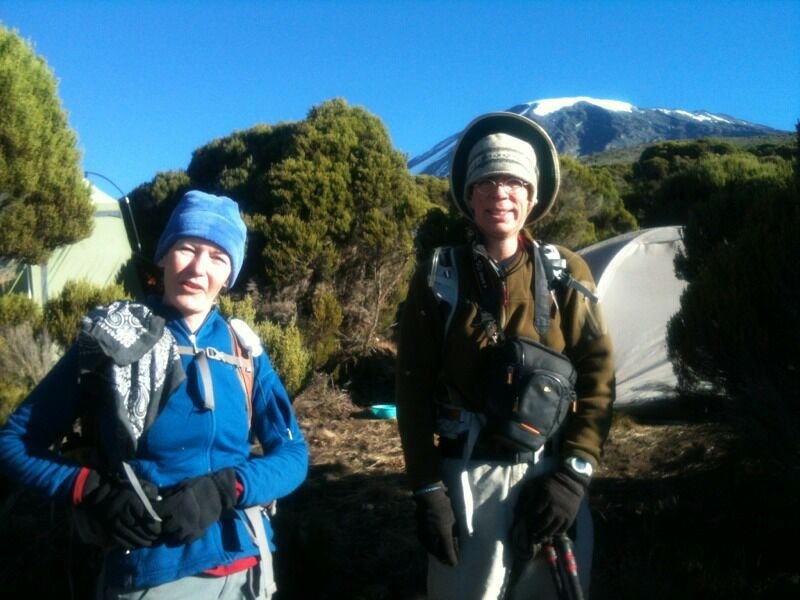 Both climbers are feeling good despite being a little bit tired. 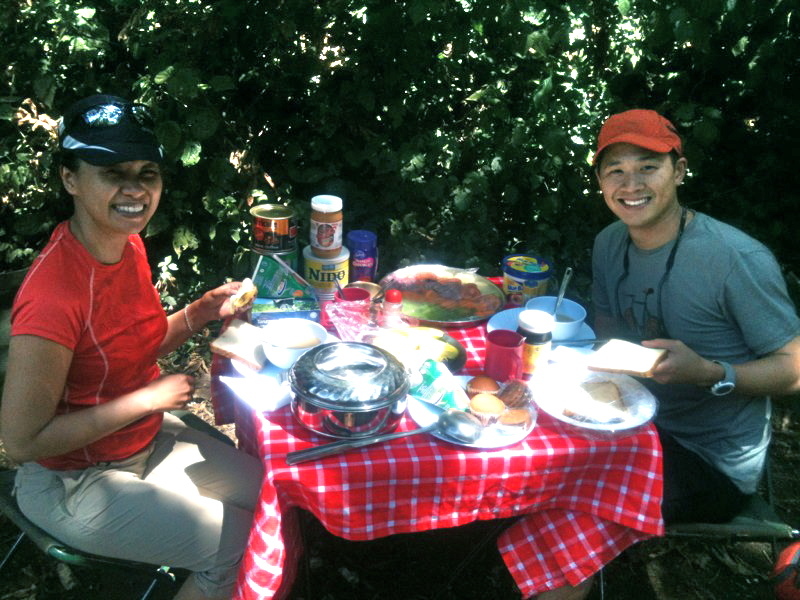 Leave a message for Linh & Gareth in the comments and we will make sure they receive it. 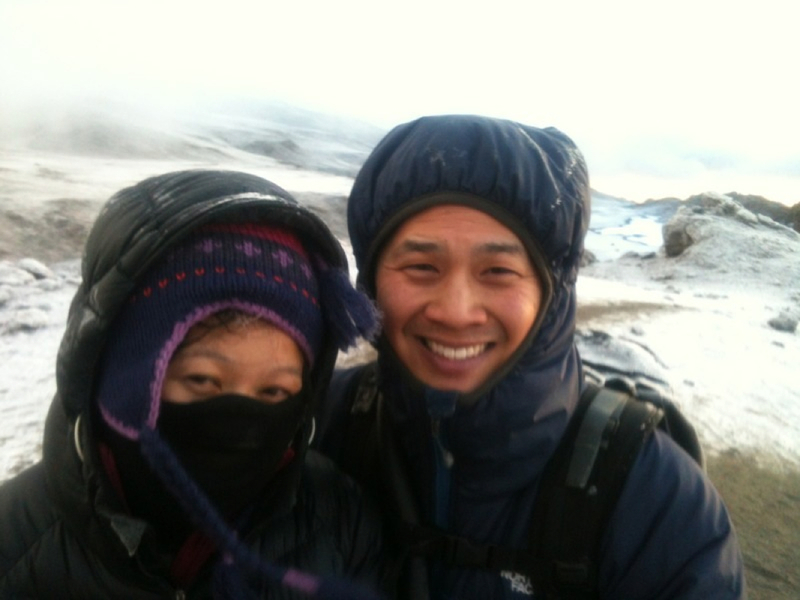 It was a very hot and dusty climb but all was good as Linh and Gareth made their way to Shira 1 camp at 3,500m for their overnight stay. 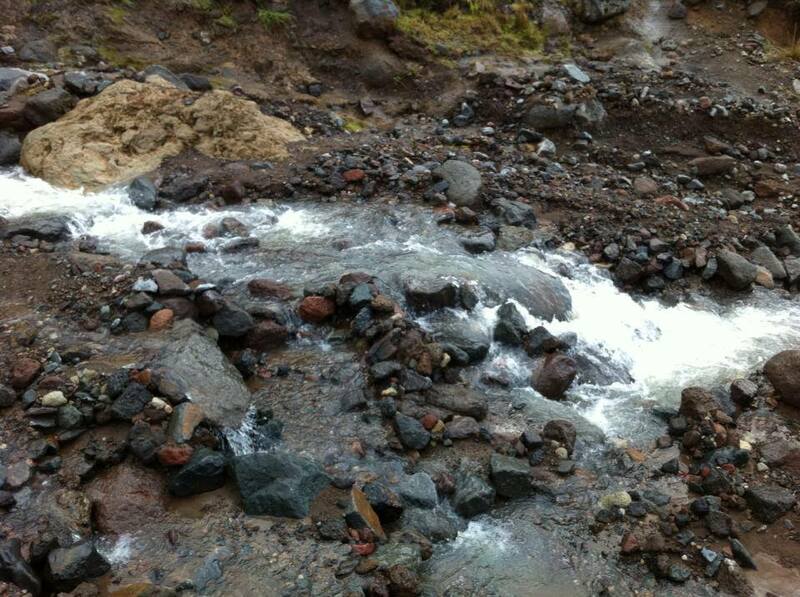 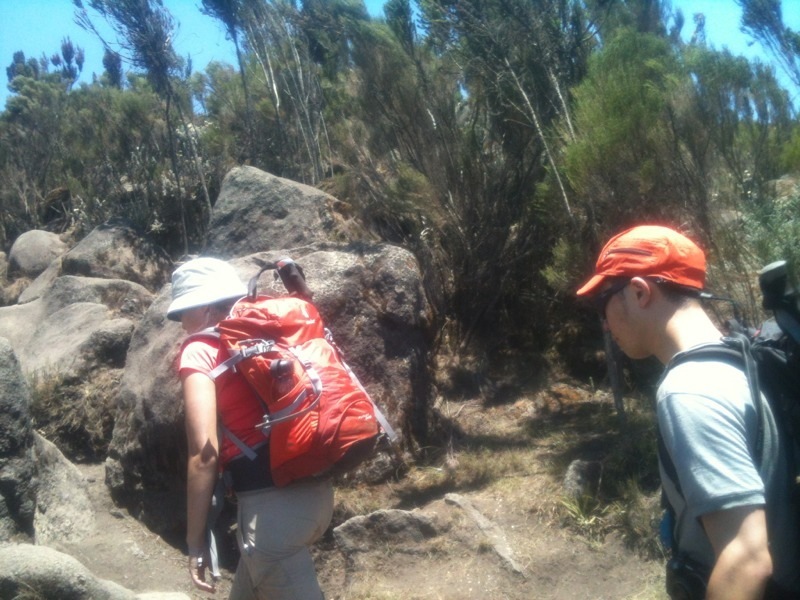 There are many mounds of rocks that have been built by trekkers along the route. 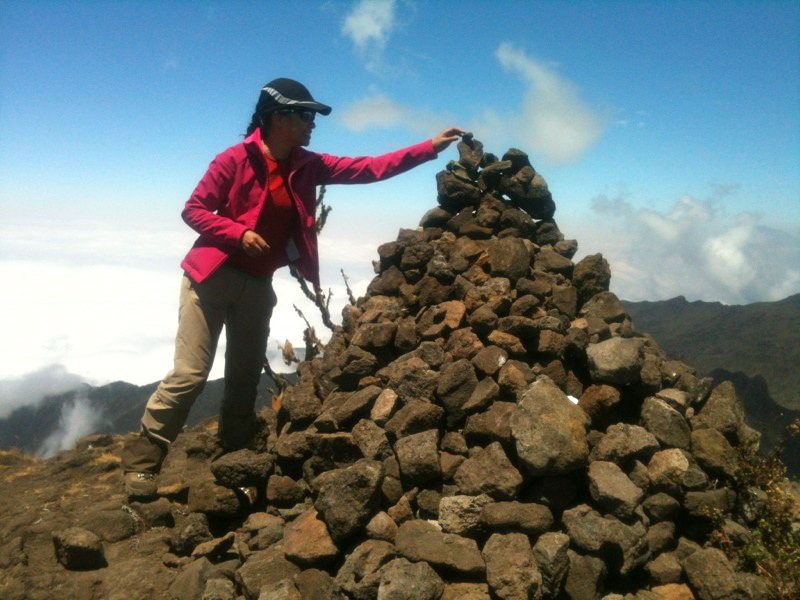 Some believe that adding a rock brings good luck for the summit. 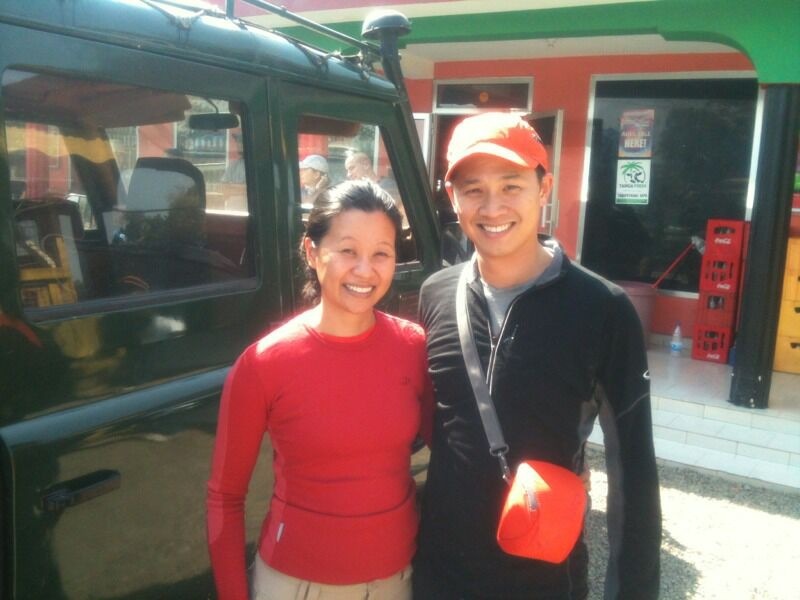 Linh & Gareth arrived safely at Shira 2 camp. 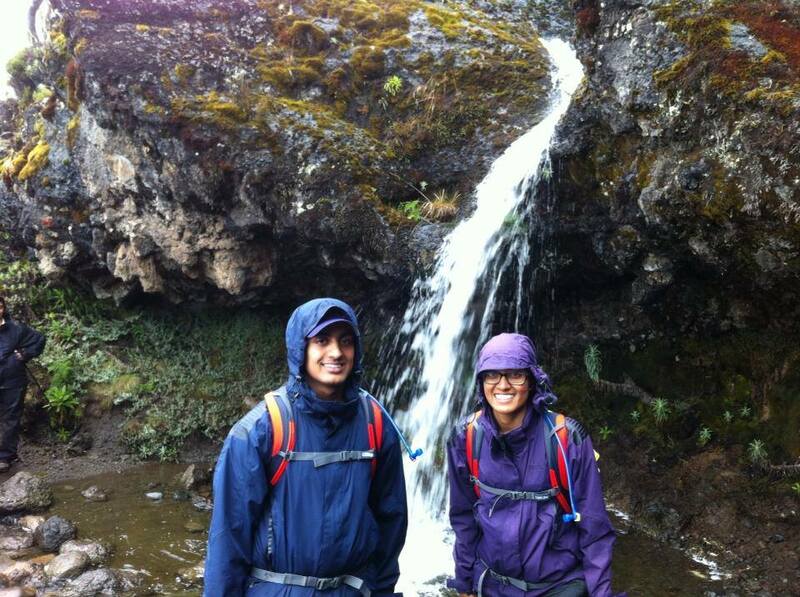 Both climbers are doing well and enjoying the trek. 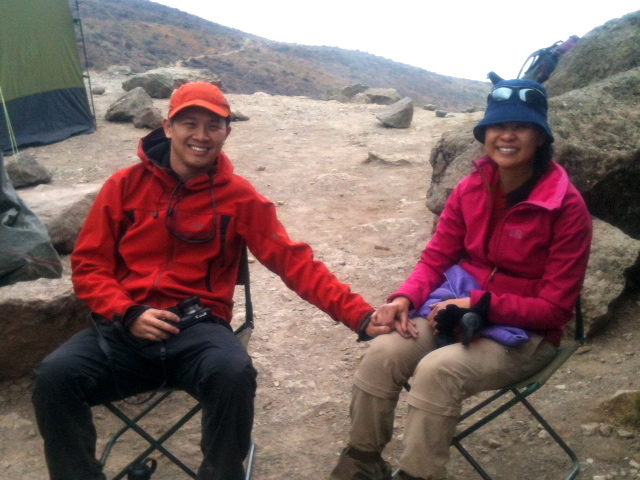 Write your messages of support and encouragement in the comments and we will forward them to Linh & Gareth. 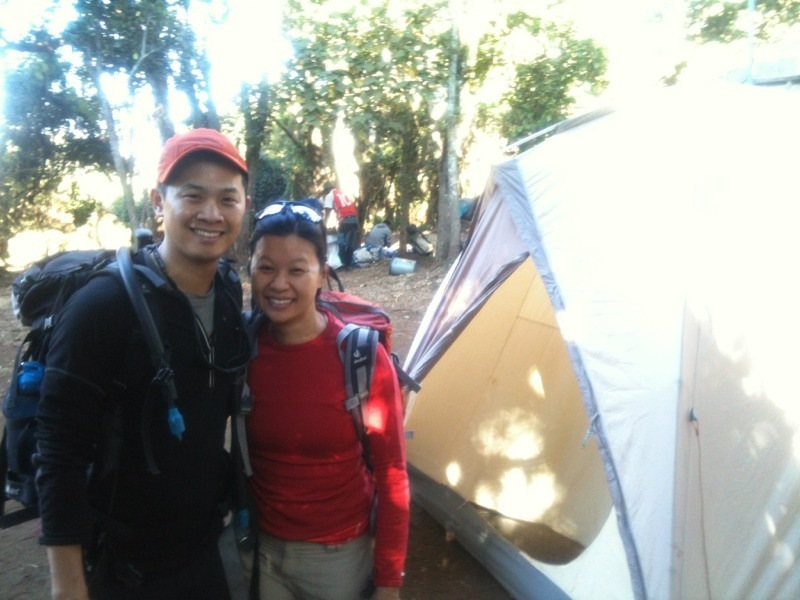 Linh & Gareth, packed, ready and excited, left their accommodation in Arusha this morning and set off with the Majestic Kilimanjaro team of 12 staff (1 Lead Guide, 1 Assistant Guide, 1 Cook and 9 Porters) in our bus for the Lemosho Route starting gate. 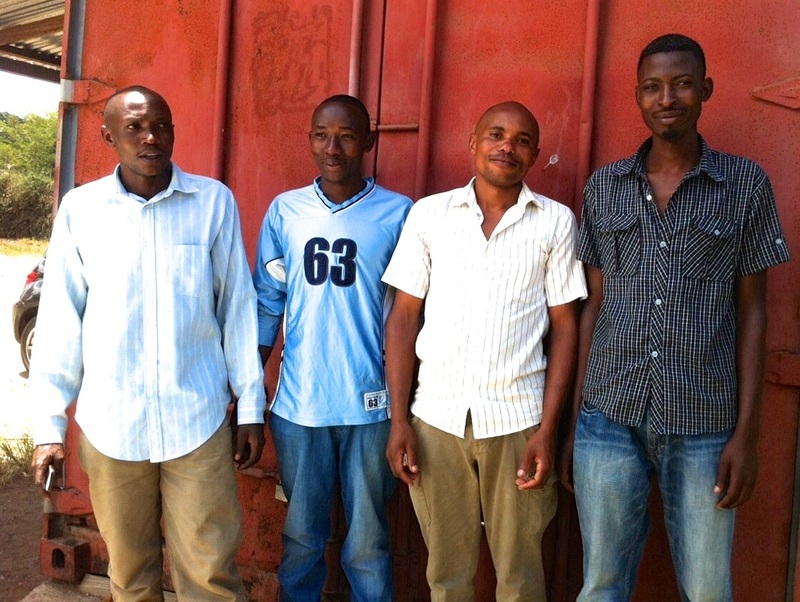 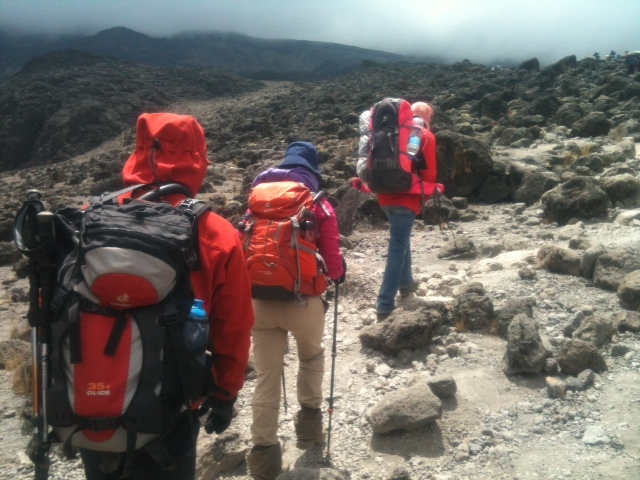 Send them a message in the comments and we will forward it to them via Tumaini our lead guide. 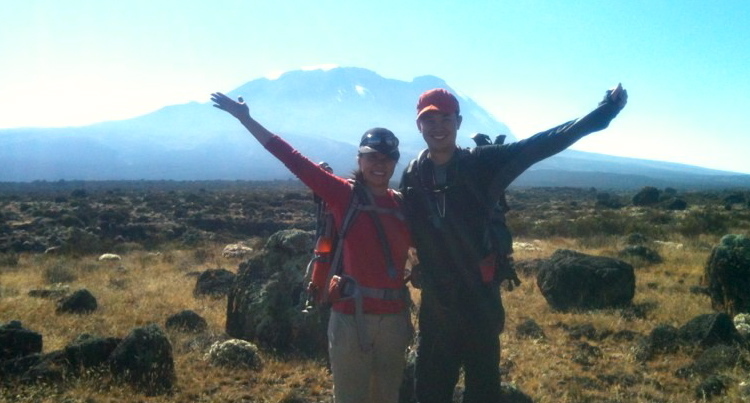 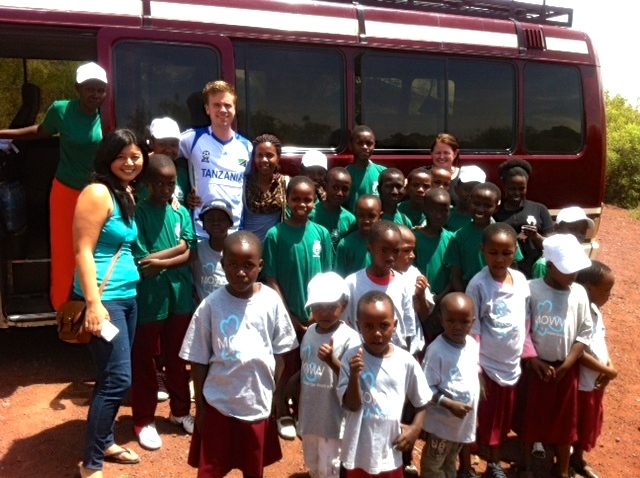 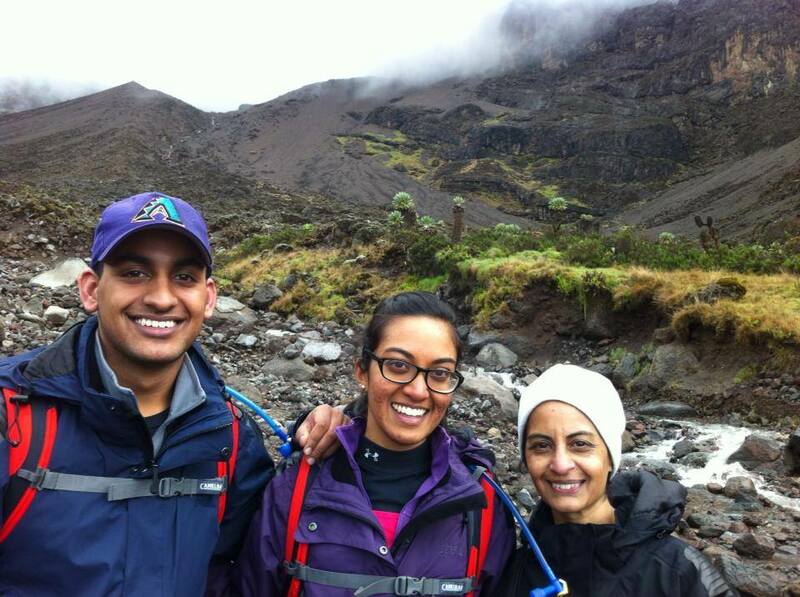 Linh & Gareth arrived safely into Arusha and were met by Tumaini Sandi, Managing Director of Majestic Kilimanjaro. 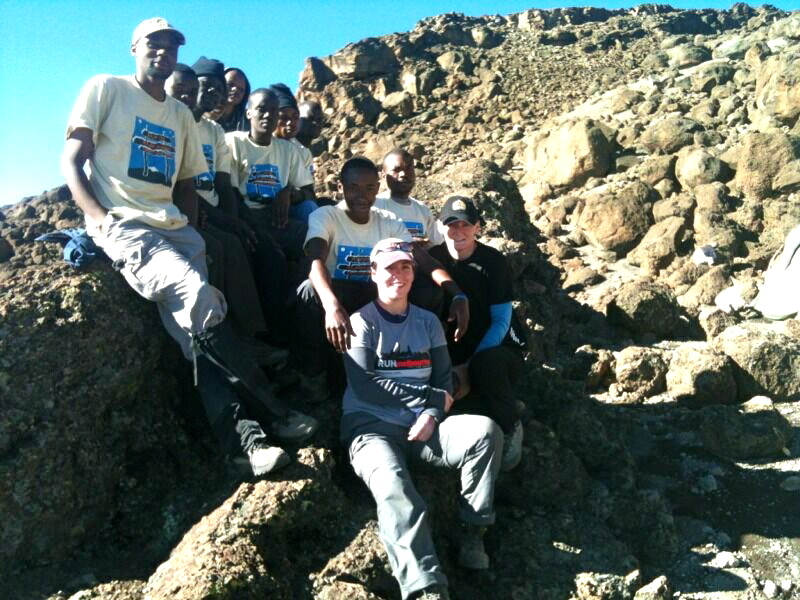 They have had their briefing meeting and are all ready to start their climb tomorrow - 15th September. 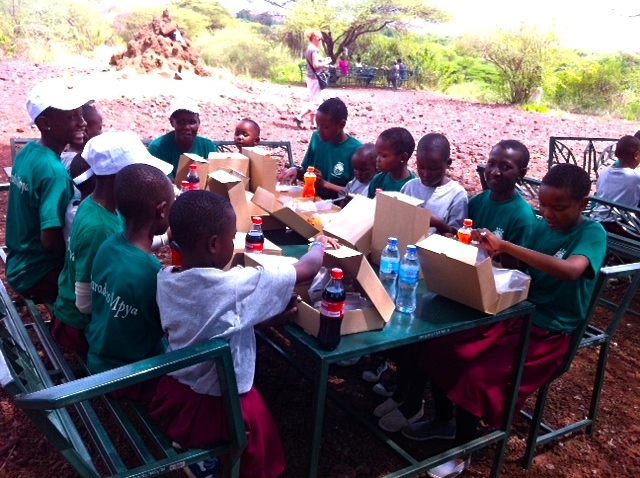 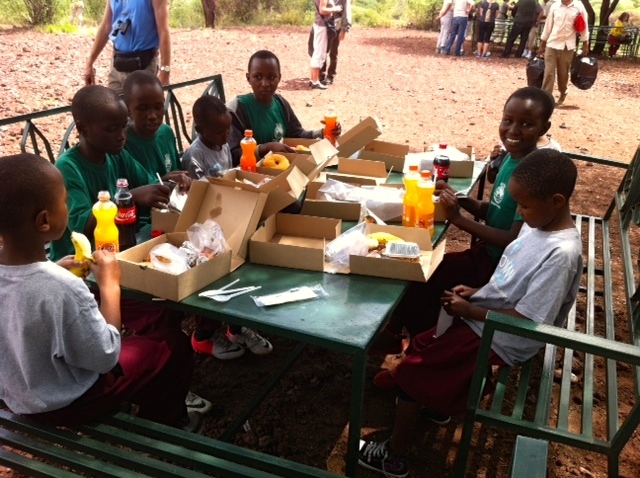 Julie, Paul & the team are at Barufu camp and every one is happy. 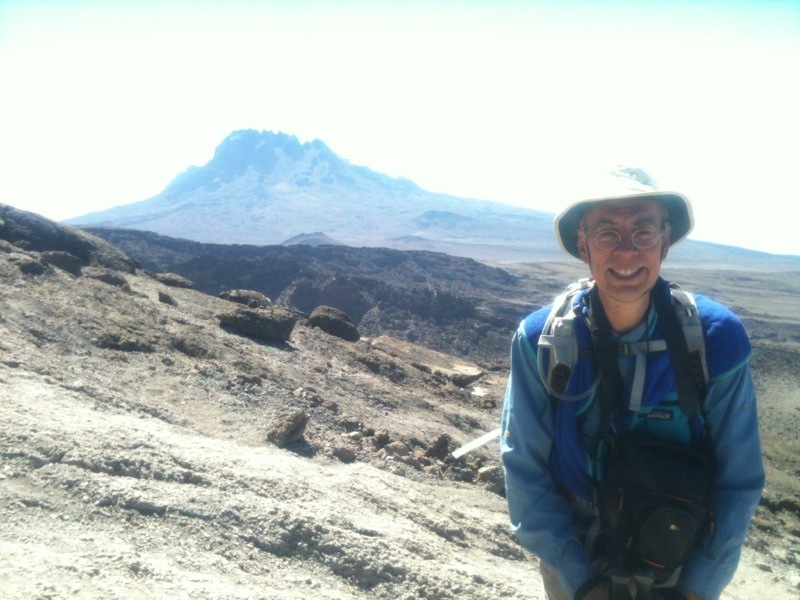 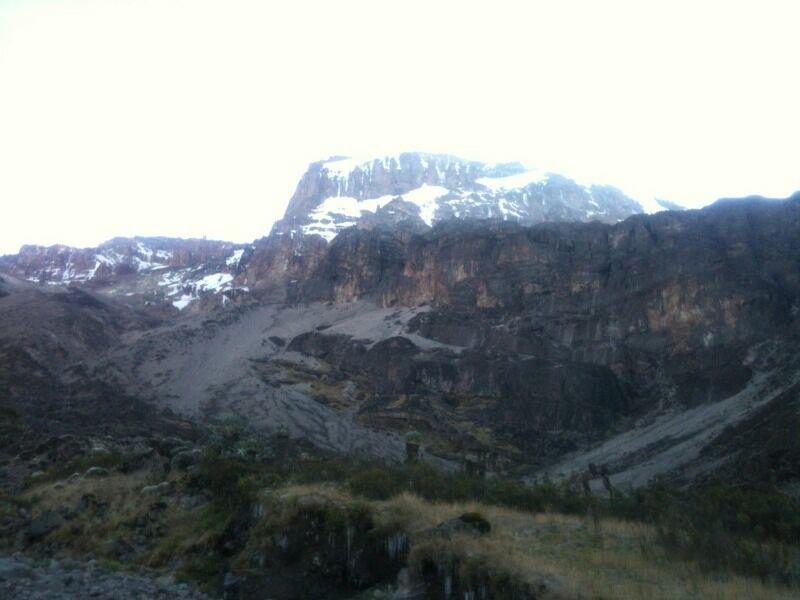 Paul and Tumaini hiked this morning to 4,976 meters for acclimatization. 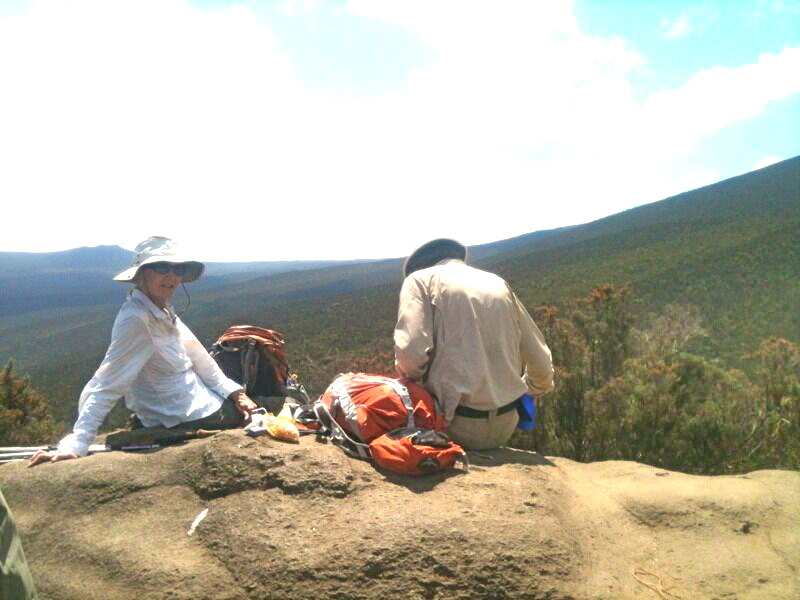 Julie decided to take a rest at the camp. 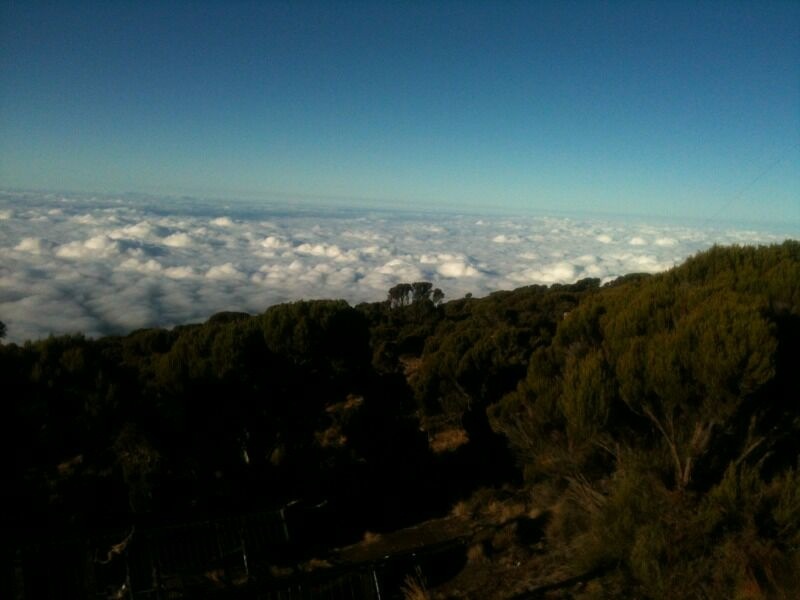 They are having nice weather again today! 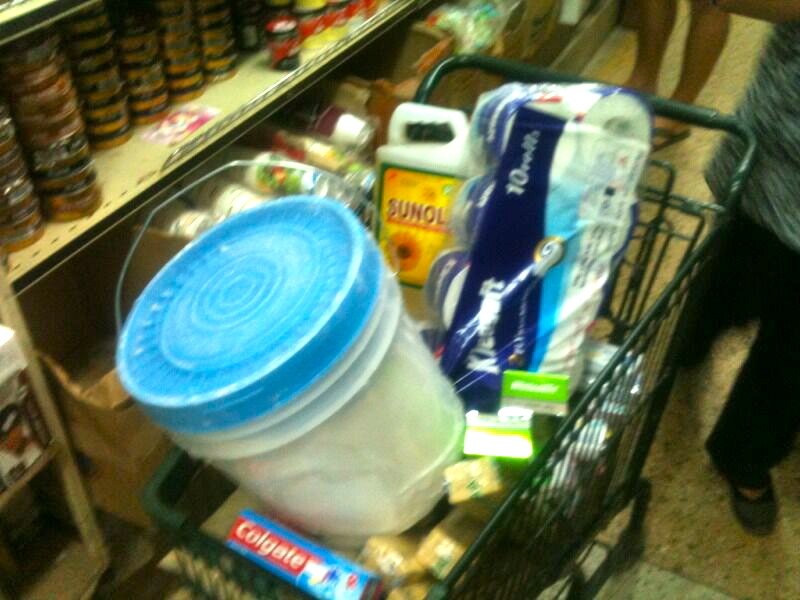 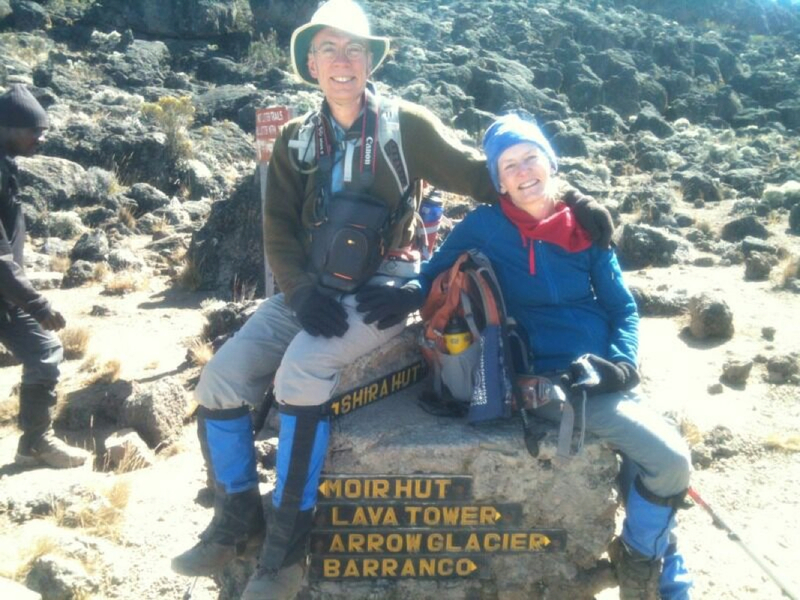 Later tonight they will be setting off for the summit. 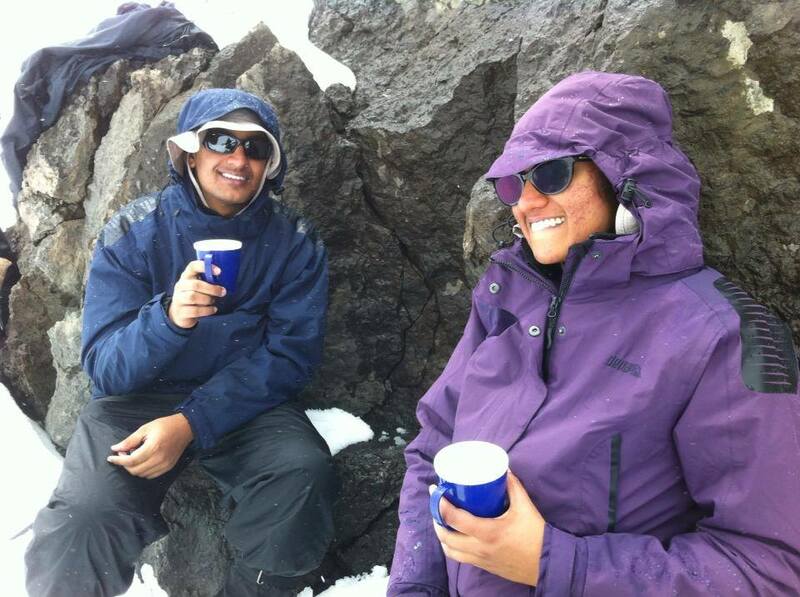 They will have an early dinner, go to bed for some rest and then rise at 11.30pm and start their summit trek at approximately midnight. 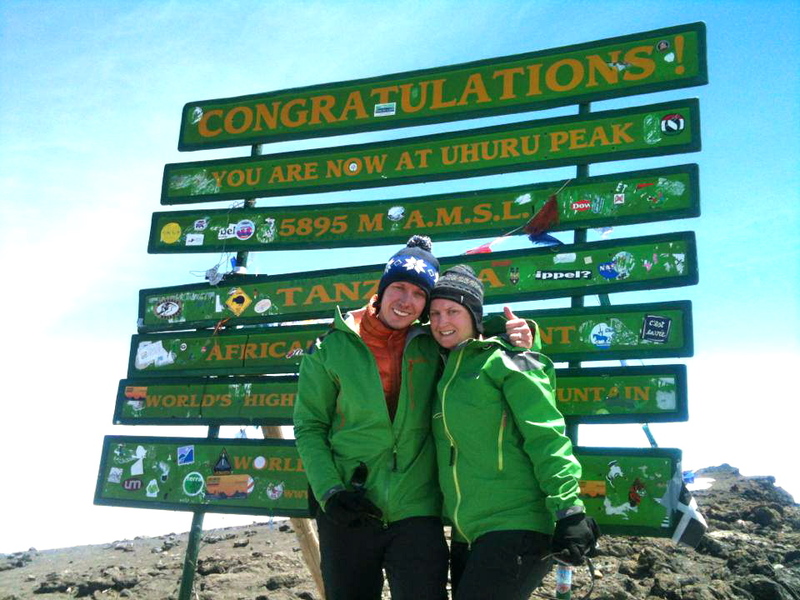 It's an exciting night for them all, please send your messages of encouragement via the comments and we will make sure they receive them. 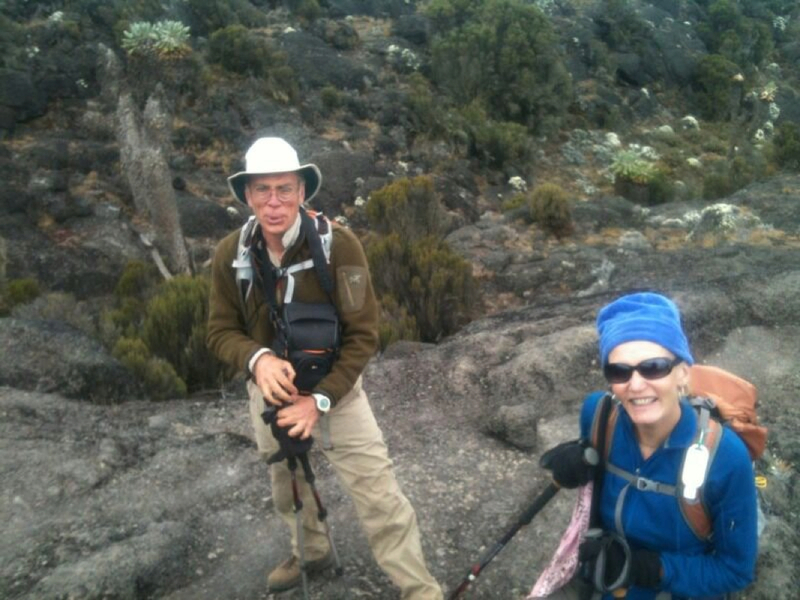 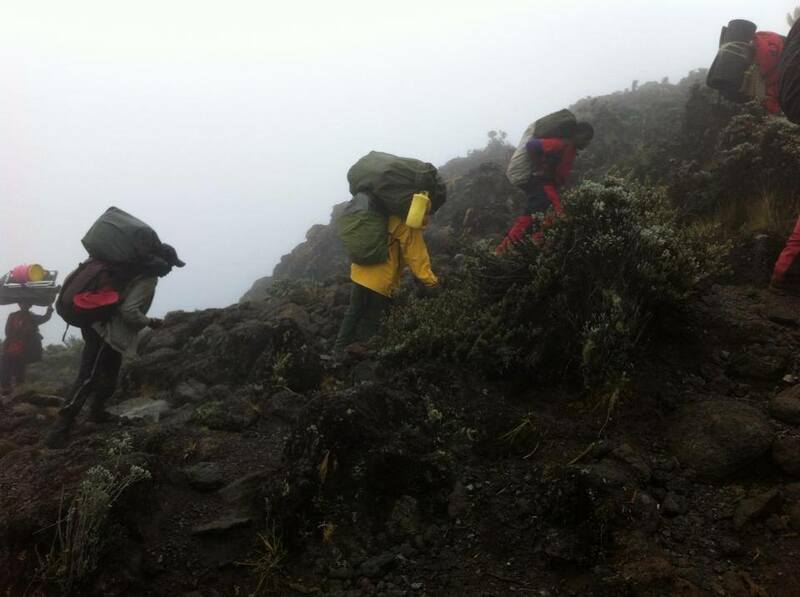 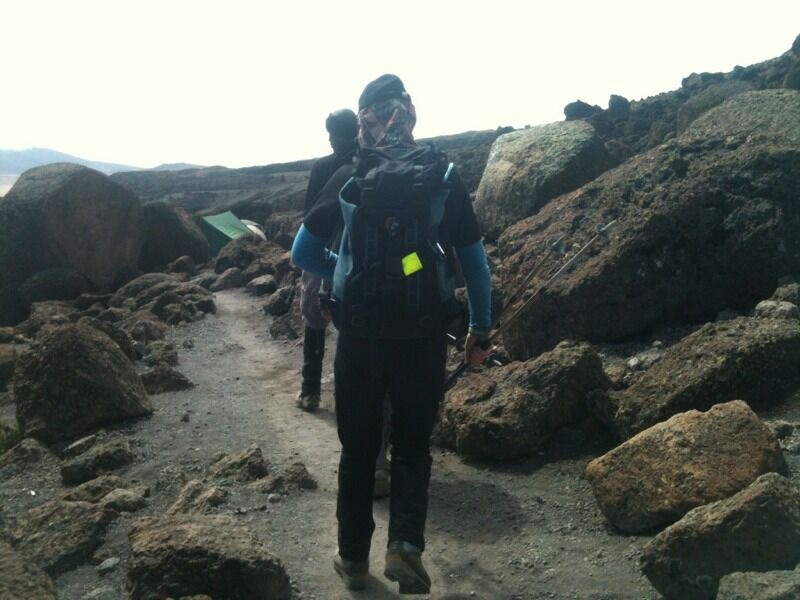 Julie, Paul and the team started their 5th day's trekking at 08:20am from Barranco Camp are heading to Barafu Camp. 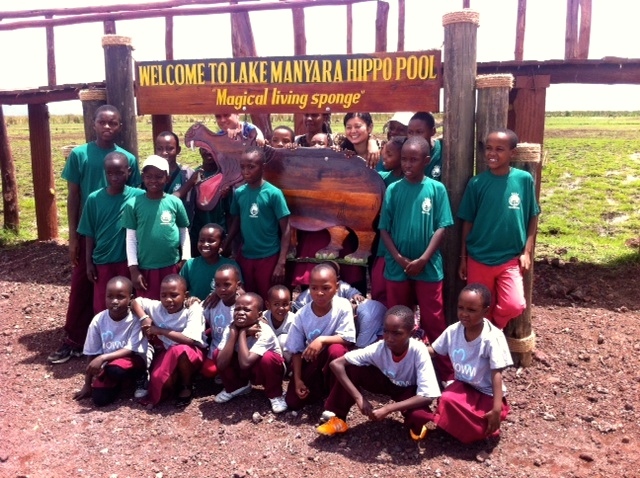 They are doing very well and the weather is brilliant too. 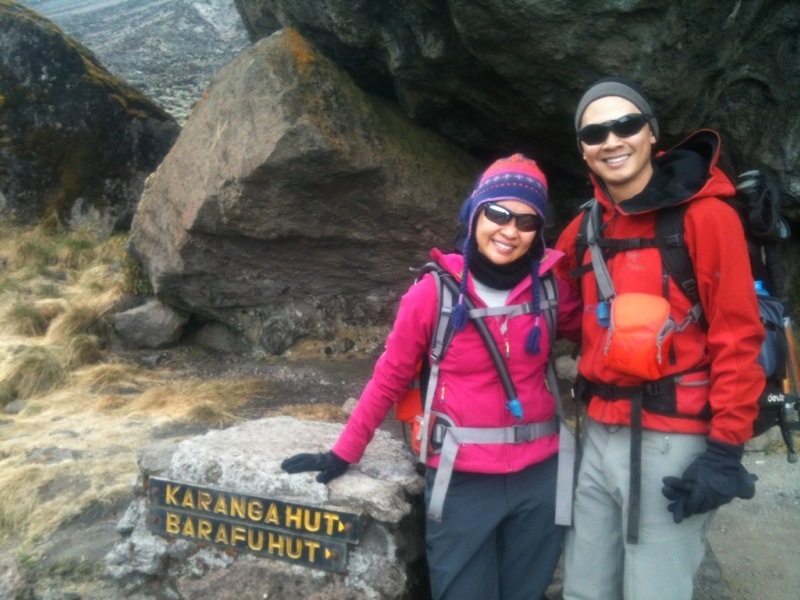 Show your support and send Julie & Paul a message via the comments and we will forward it to them. 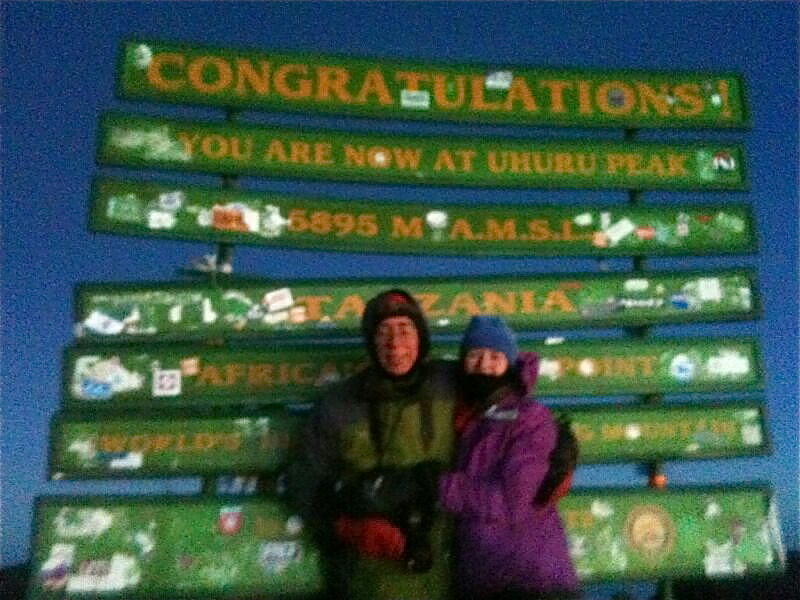 Write a message for Julie and Paul and we&apos;ll make sure they receive it. 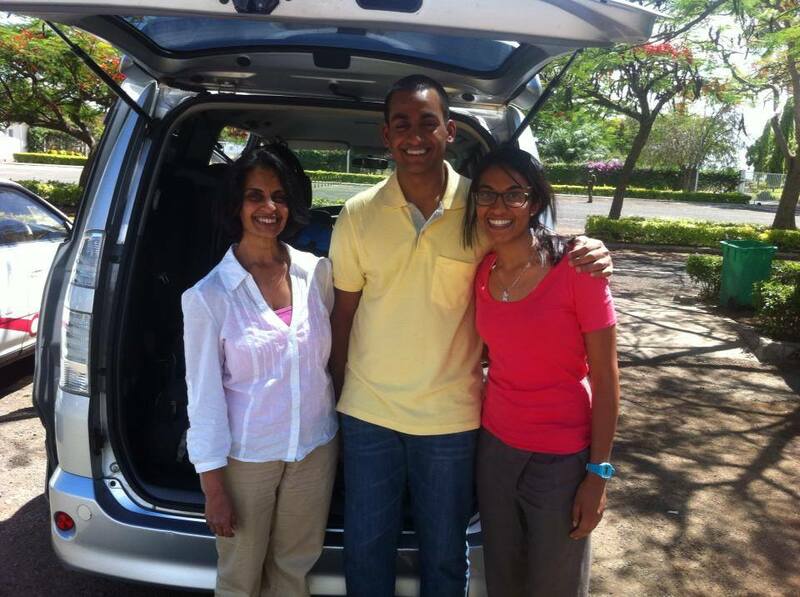 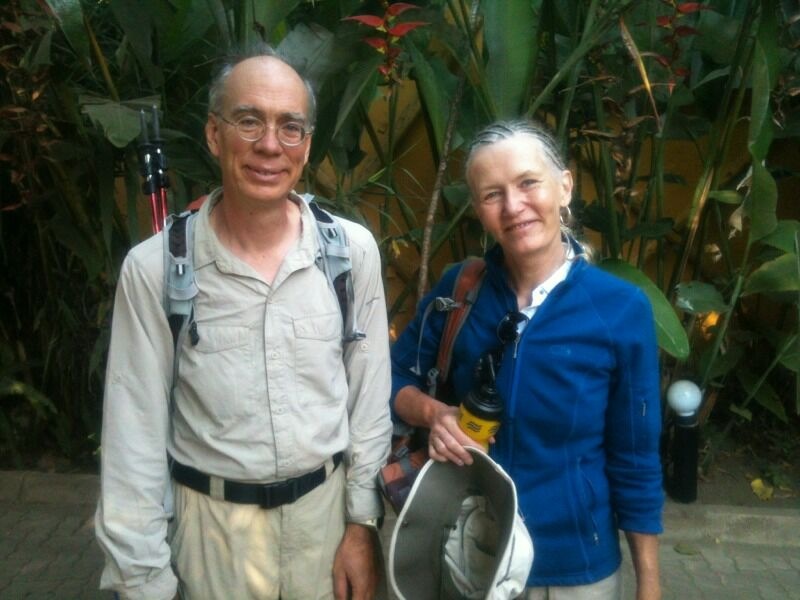 Arrival: Julie & Paul arrived in Arusha Tanzania on 4th September 2013 from the United States of America. 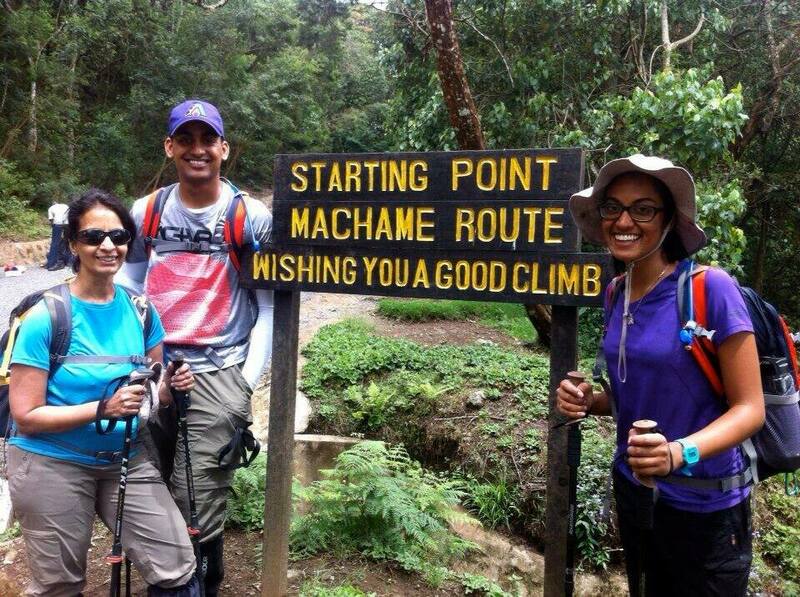 They will be climbing Mount Kilimanjaro via the 8 day Lemosho Route. 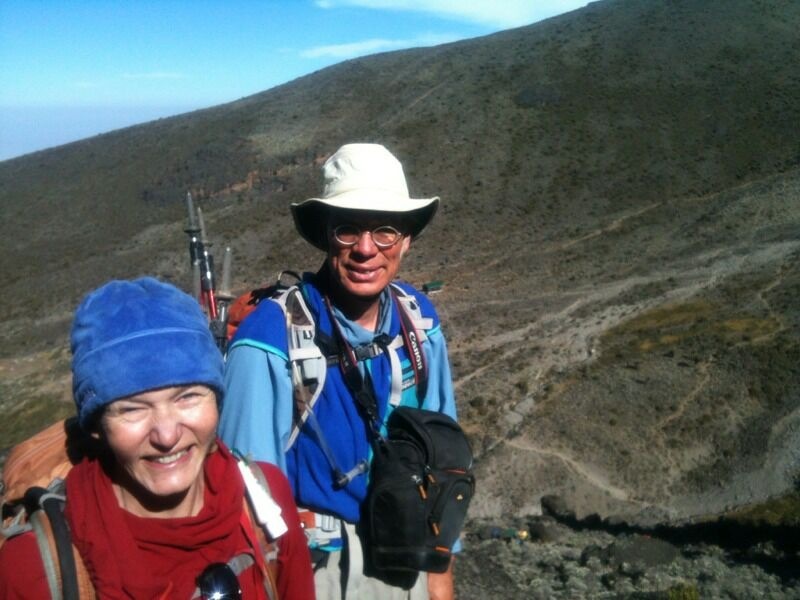 5th September 2013: Paul & Julie ready to leave their hotel to start their climb. 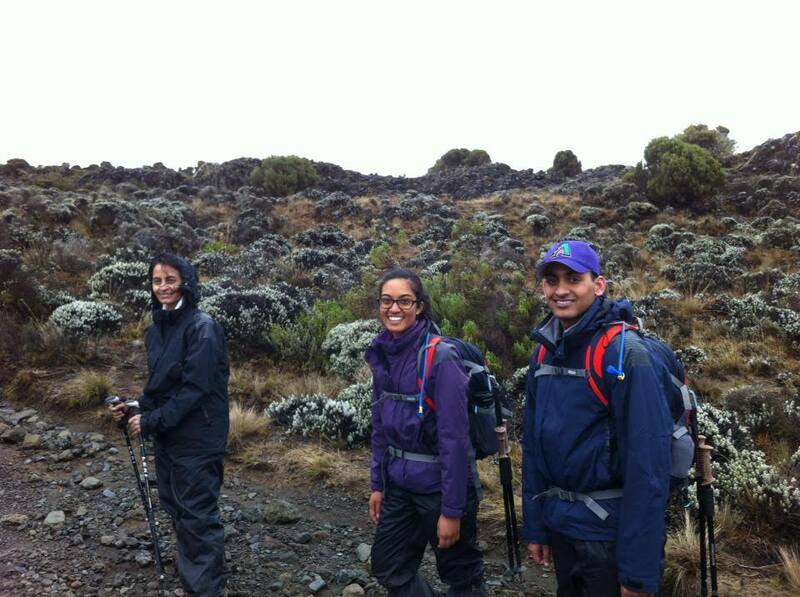 It was a nice day in Arusha as Julie, Paul, Tumaini (Managing Director & Head Guide) and the team of 11 staff (Assistant Guide, Cook, & 9 Porters) left on the bus for the Lemosho trail. 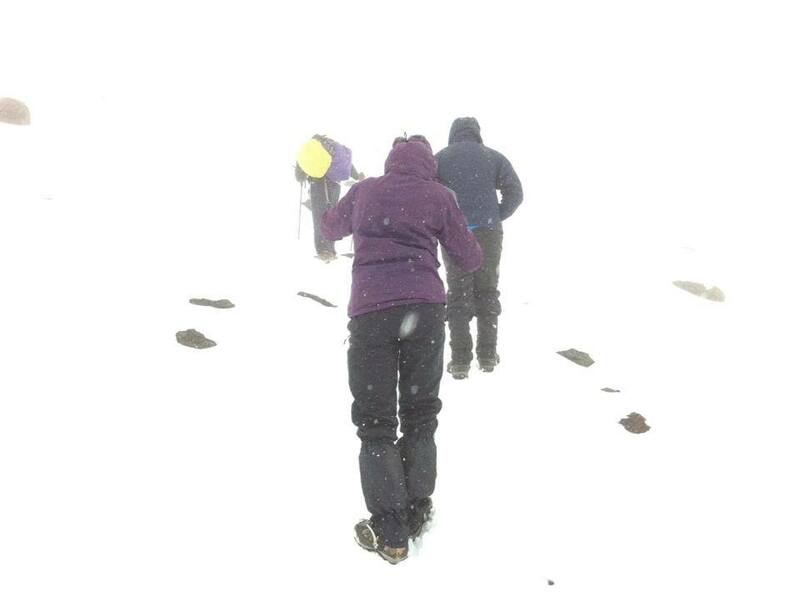 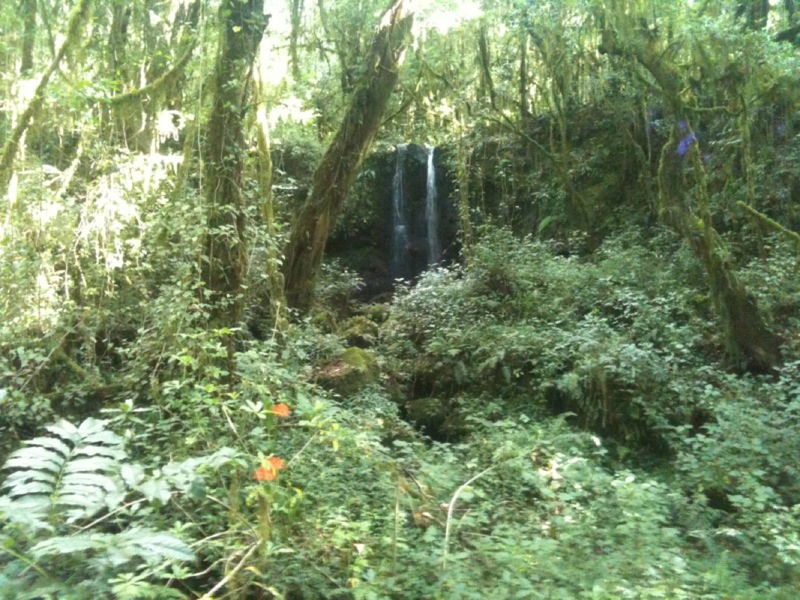 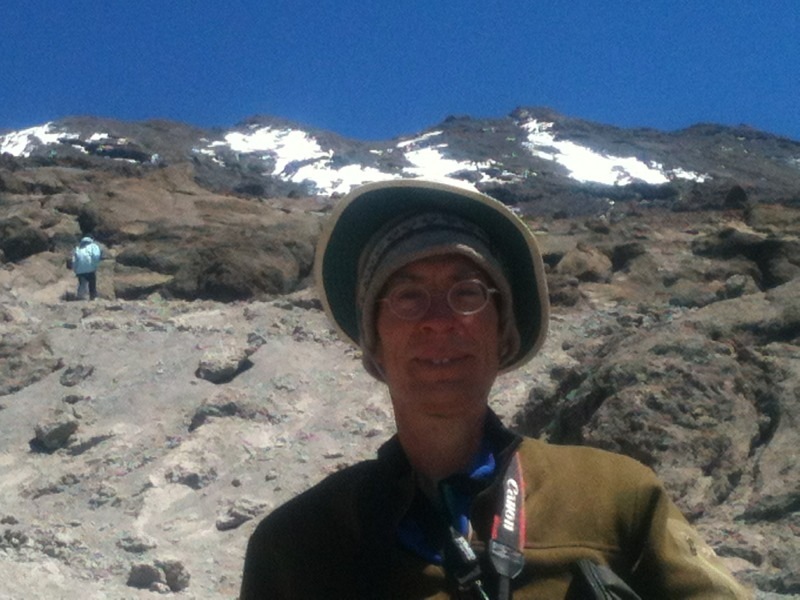 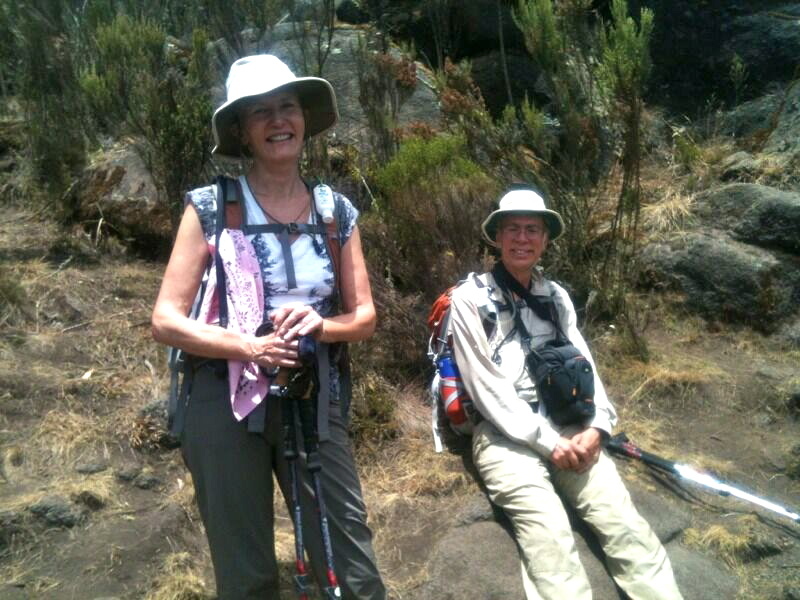 Another day of great weather on Kilimanjaro as Julie, Paul and the team hike from Forest Camp to Shira 1. 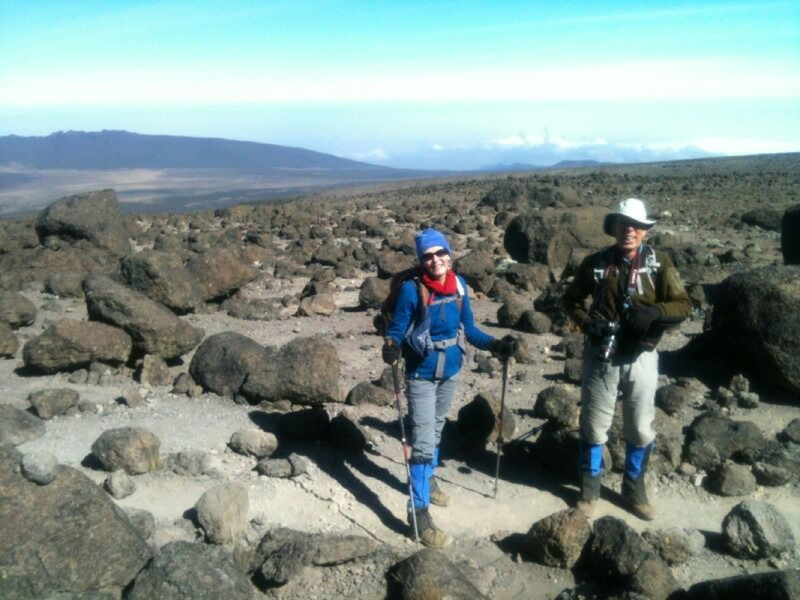 Both Paul & Julie are doing well and enjoying the climb. 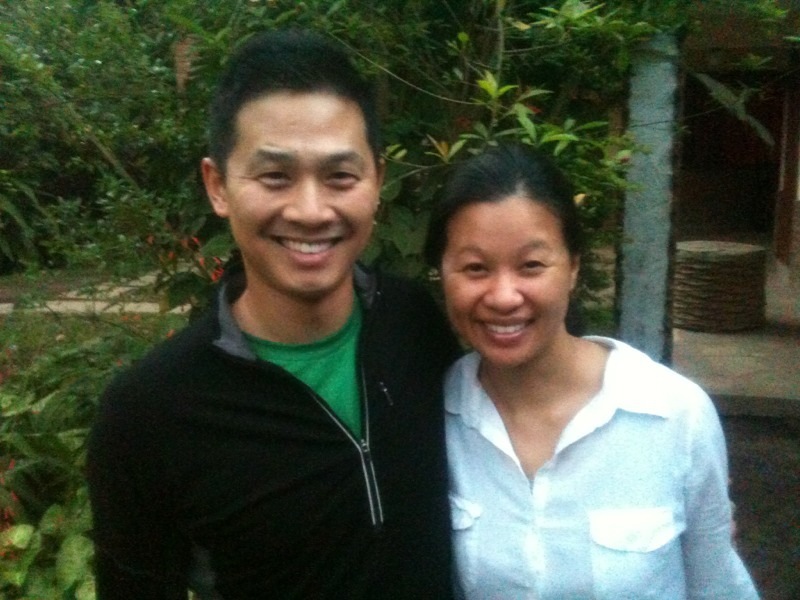 Write a comment/message for Julie & Paul and we will forward it to them daily! 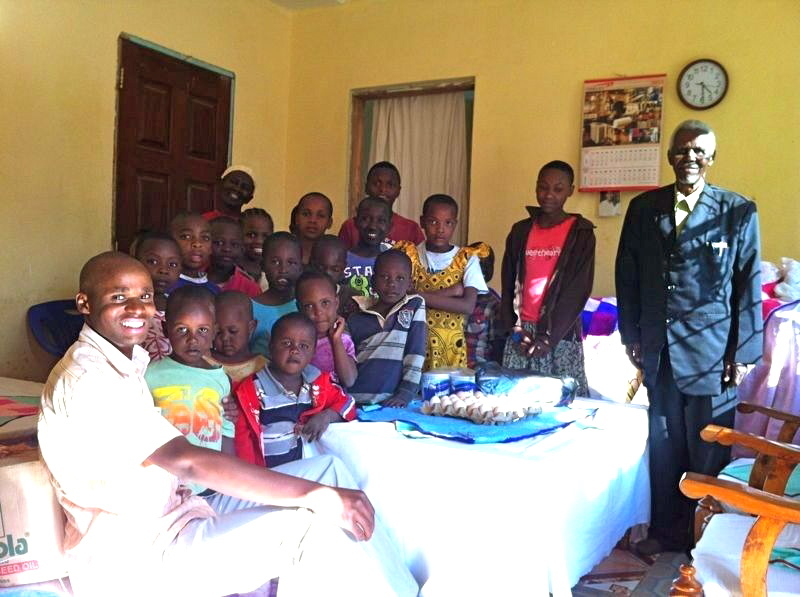 Please share the news with your friends. 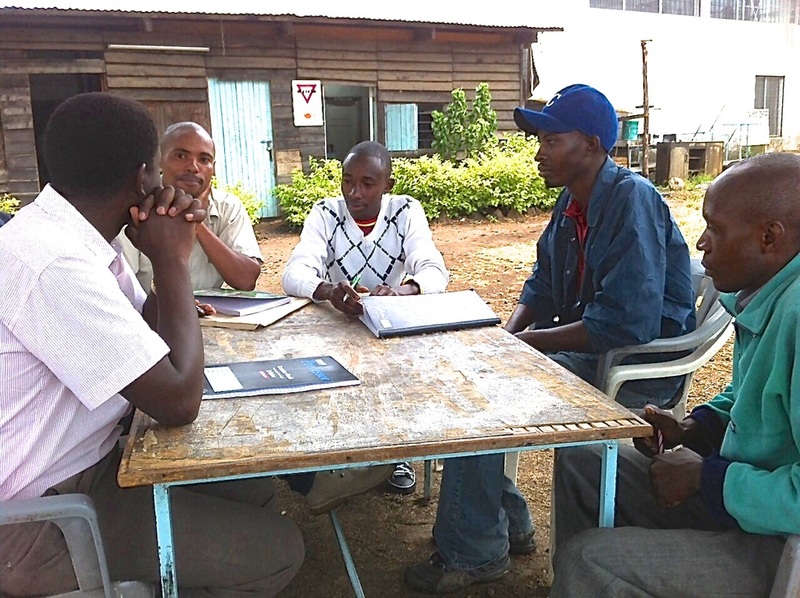 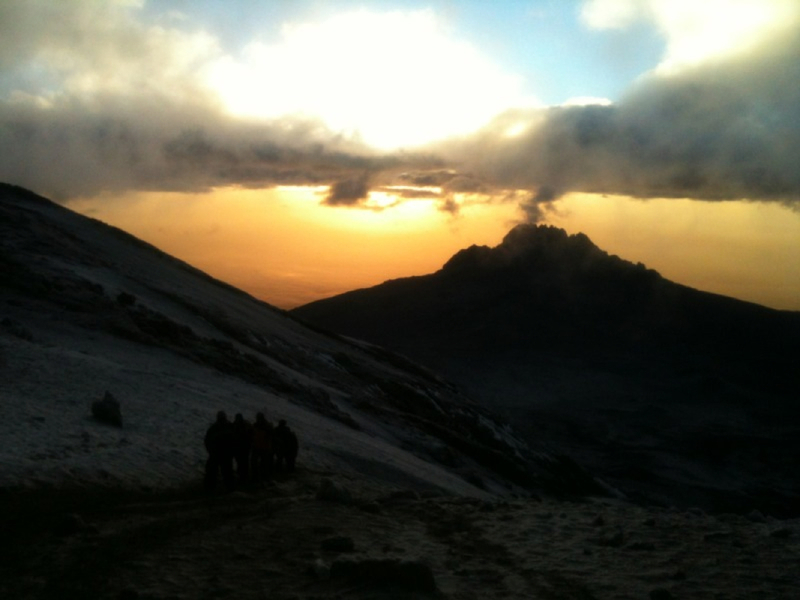 Our search for a climb company began in early 2013 when we decided to tackle Kili. 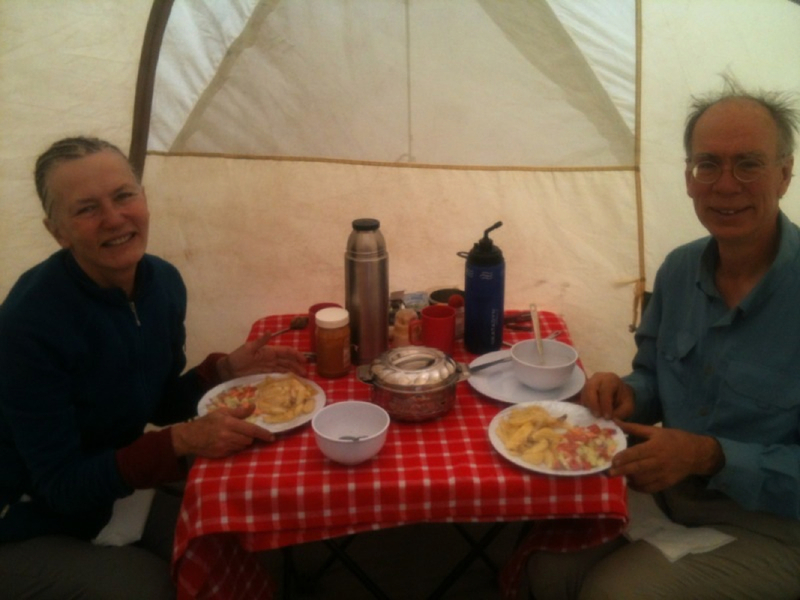 We started with our favourite travel agent but turned back to the internet when her wholesalers were unable to cater to our preferences for route and number of days or guarantee small group numbers. 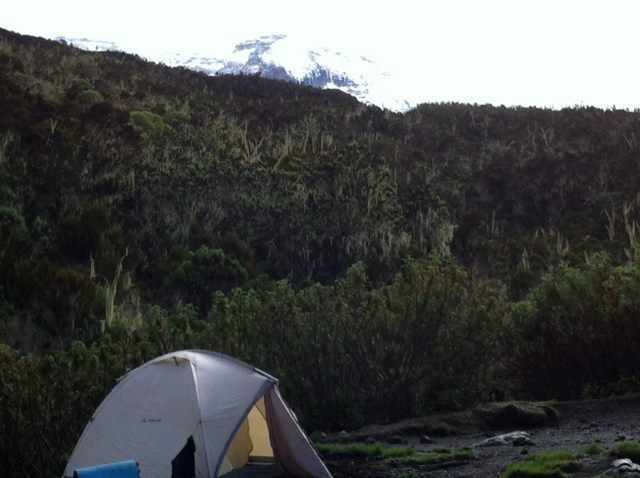 Armed with a check list we found Majestic Kilimanjaro. 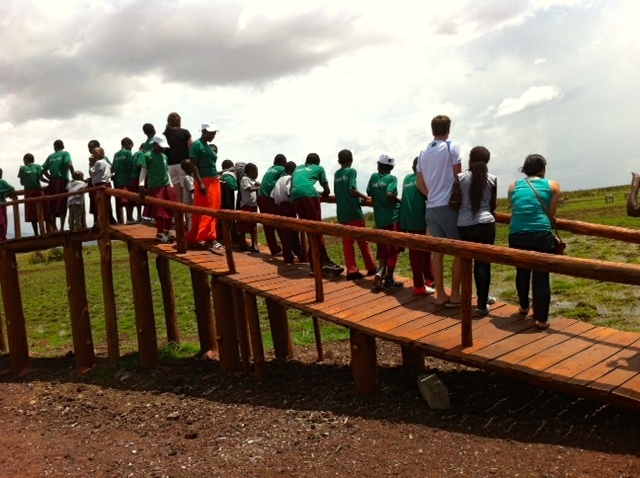 The daunting task of booking it ourselves was made easy being able to talk to the Australian partners who answered all our questions. 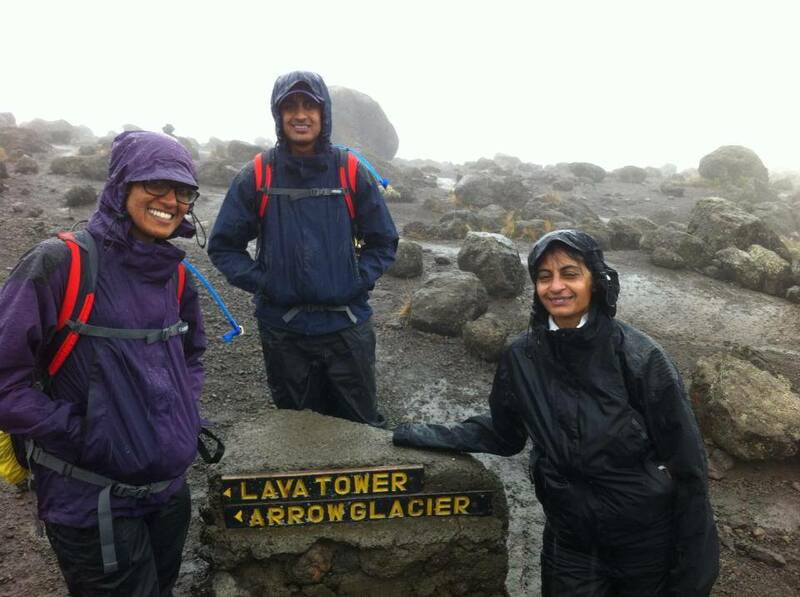 And when it came time to liaise with Tumaini for the finer details via email we found it just as easy despite being on the other side of the Indian Ocean. 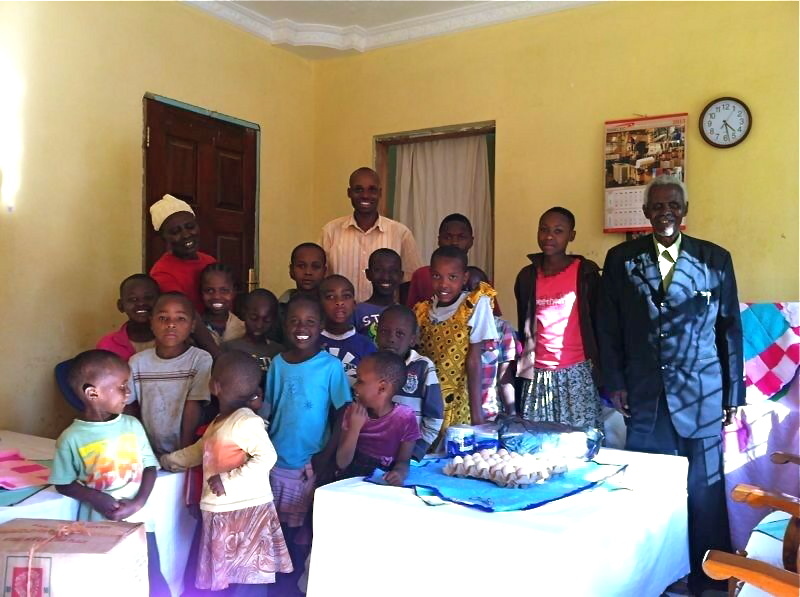 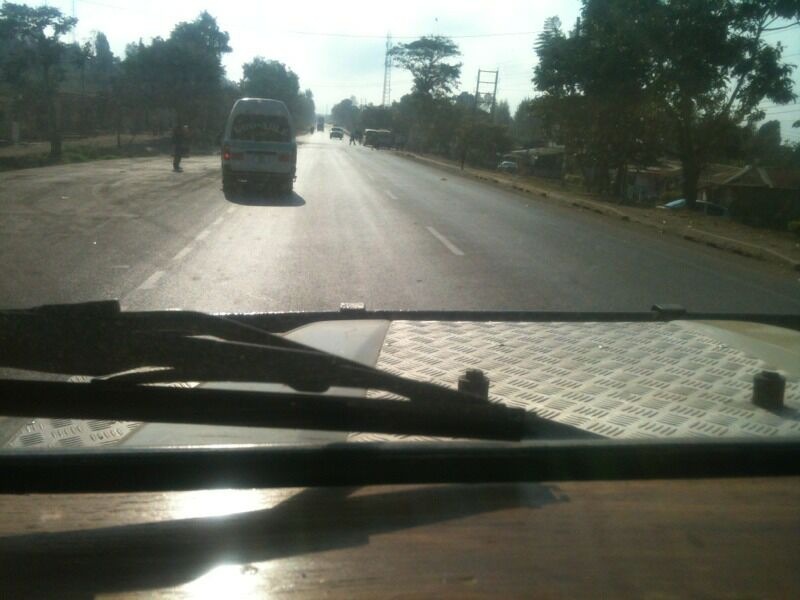 From the moment Tumaini picked us up at ‘Jaro International Airport we knew we had made the right choice. 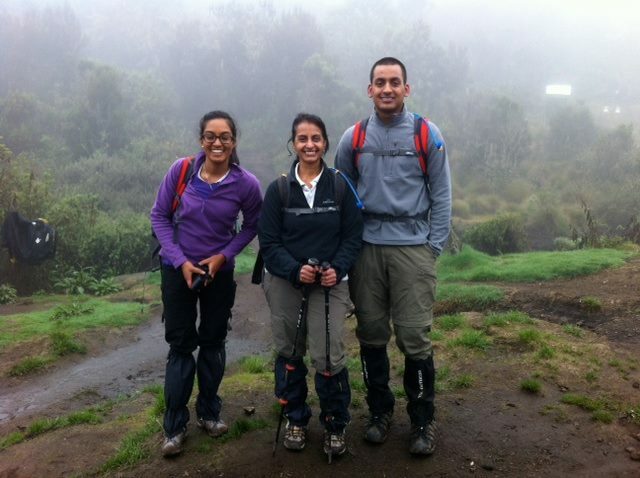 When each of us came down with altitude sickness we trusted his experience and were thankful for his cool, calm manner. 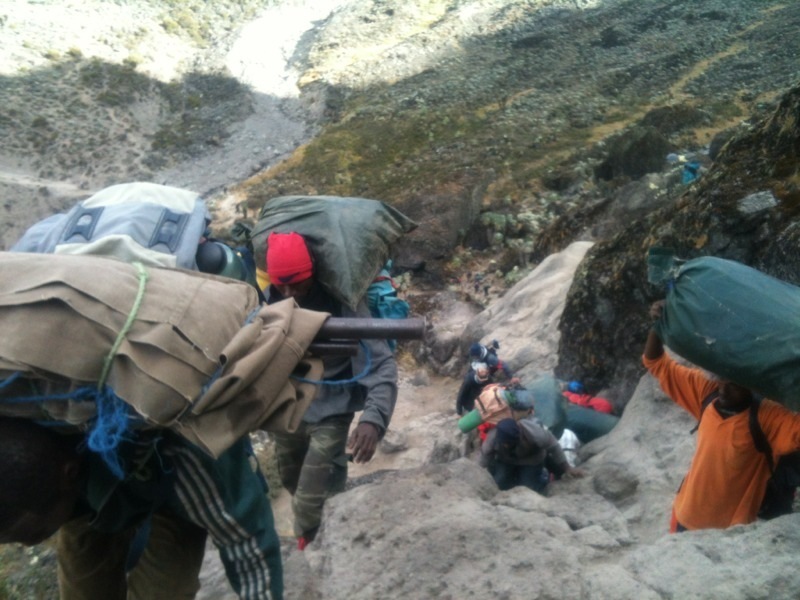 Knowing that we were really battling he amended our eight-day trek, abandoning the northern circuit for the more direct route, giving us the best possible chance of reaching the summit without sacrificing necessary acclimatisation. 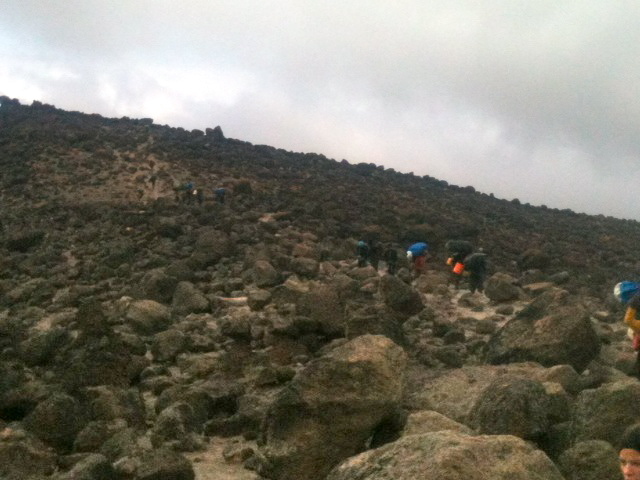 For the final summit he led us out of camp at 4am rather than midnight to avoid the worst of the cold night air. 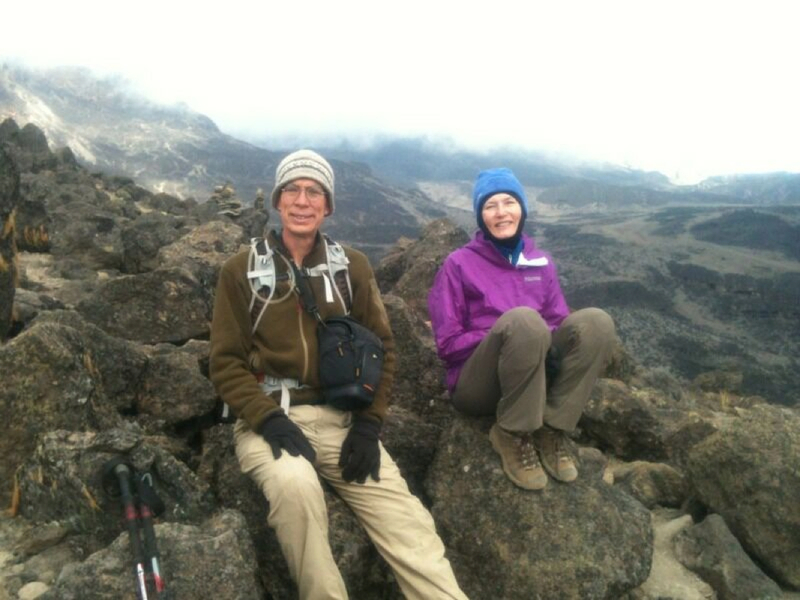 The only forfeit was not being at the summit for sunrise but more importantly we made it to the Uhuru Peak, coaxed to the sweet end despite fatigue and exhaustion! 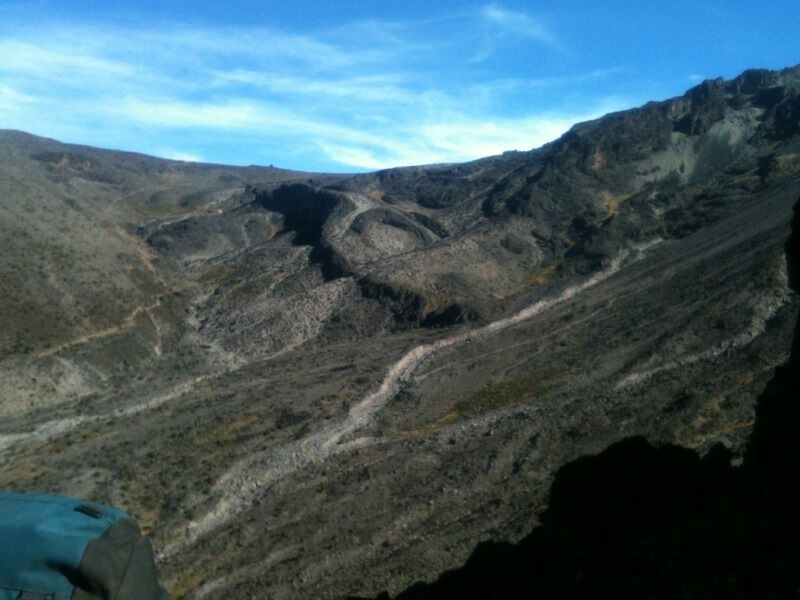 If we had attempted this with a big group and large operator we would most likely have failed. 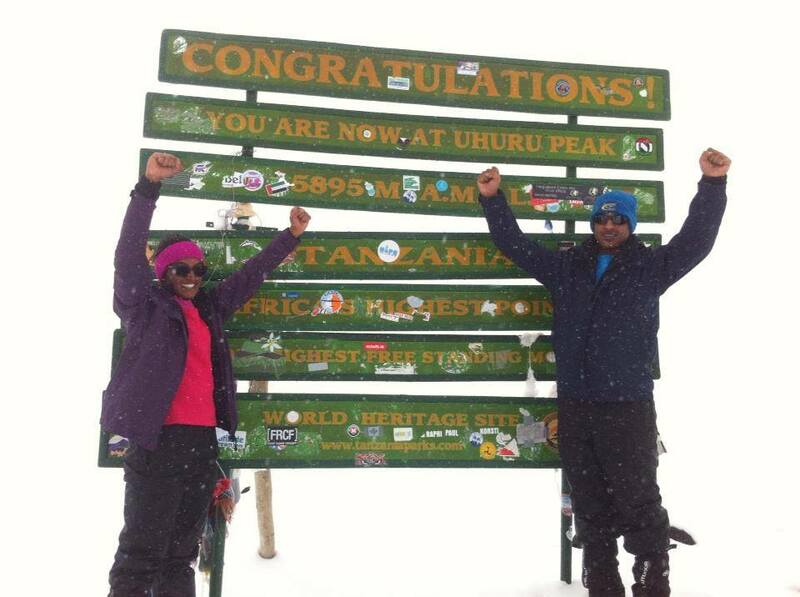 Despite our attention to training it was our preparation and, most importantly, the choice of Majestic Kilimanjaro that ensured our success. 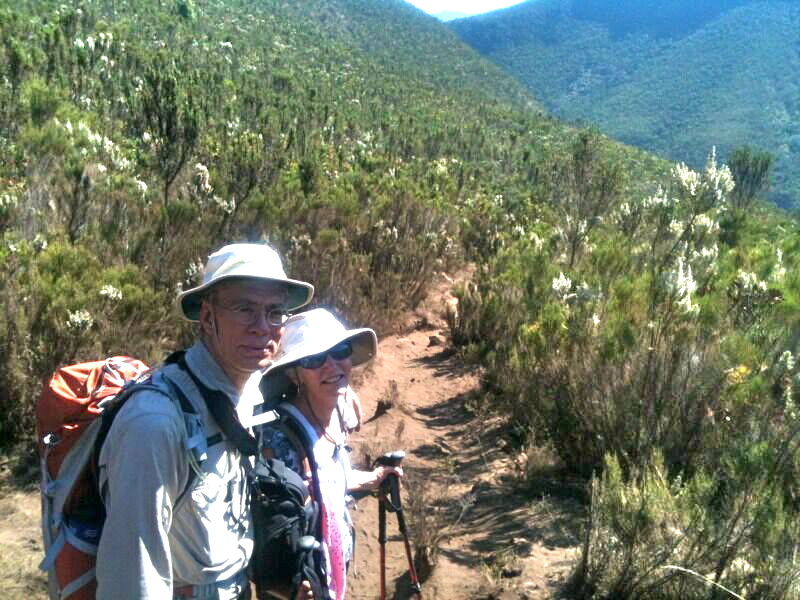 Tumaini was also an excellent guide on our three-day safari proving very knowledgeable and passionate about his country. 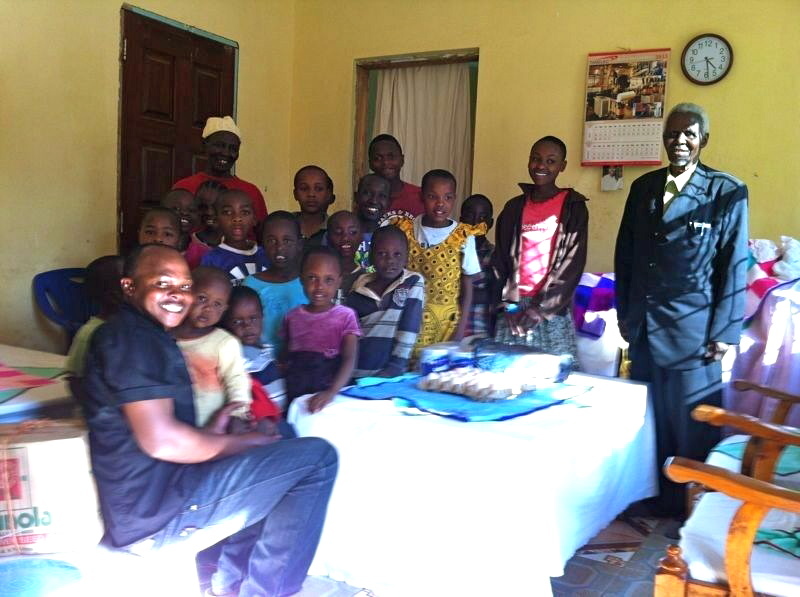 As a bonus we not only got an awesome holiday we felt like our money was going to the right people, staying in Tanzania. 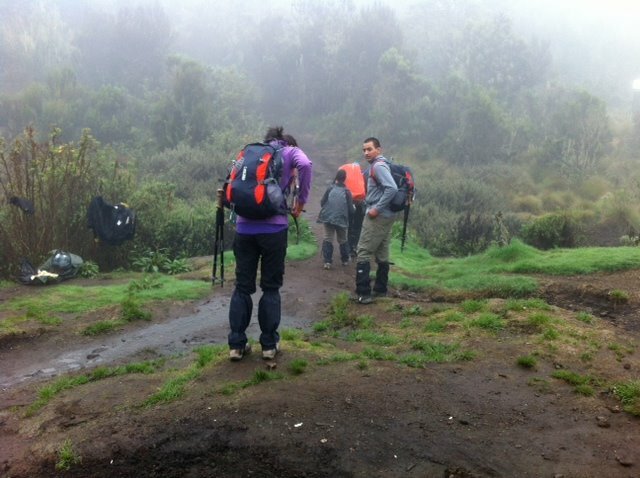 About to get back on the bus with the Majestic Kilimanjaro team at the end of a great climb. 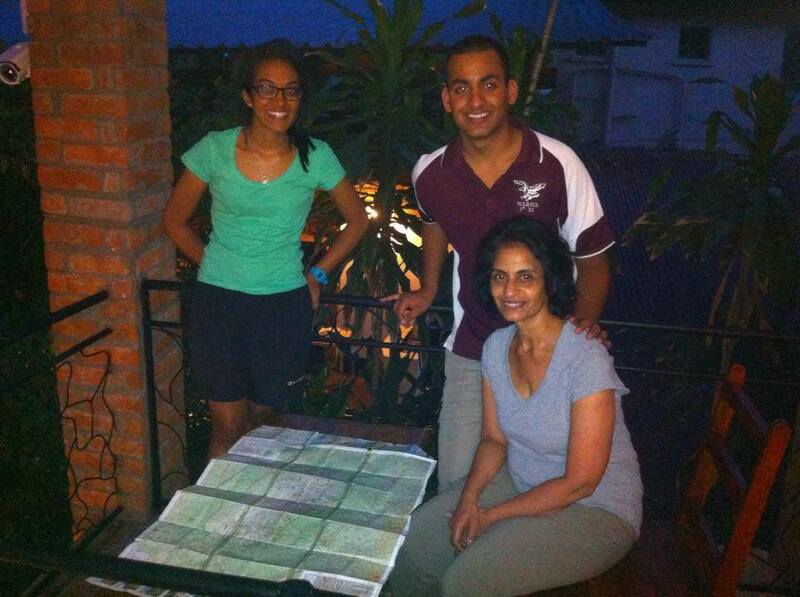 You can also read Alysia's TripAdvisor Review here. 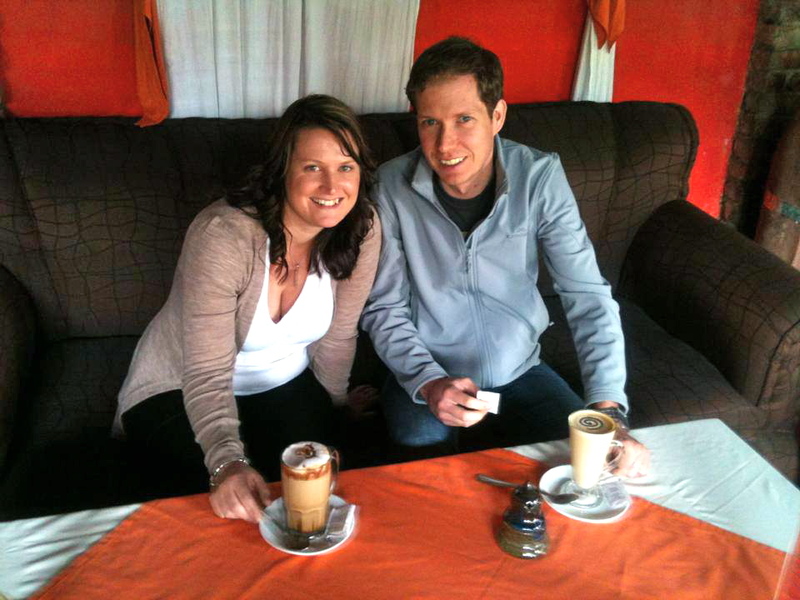 Sam Norris is a Journalist with The Maitland Mercury. 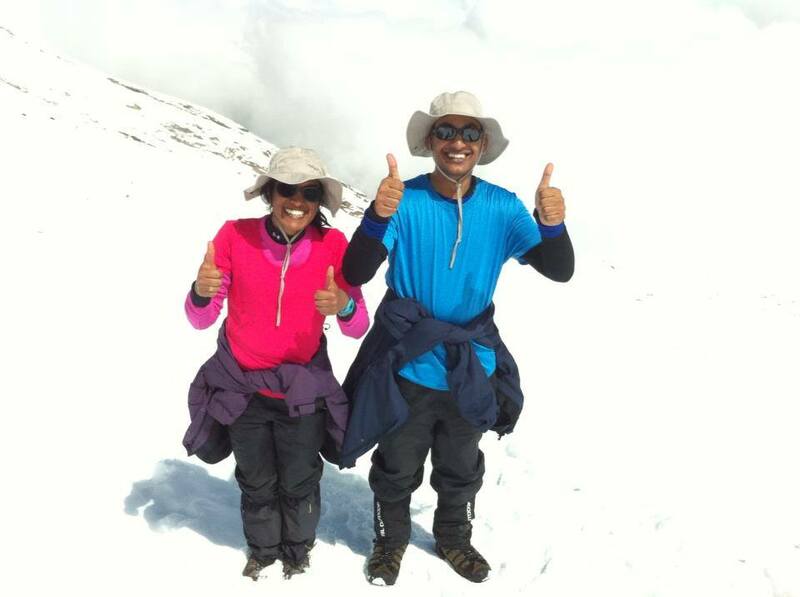 Read his story of their climb here. 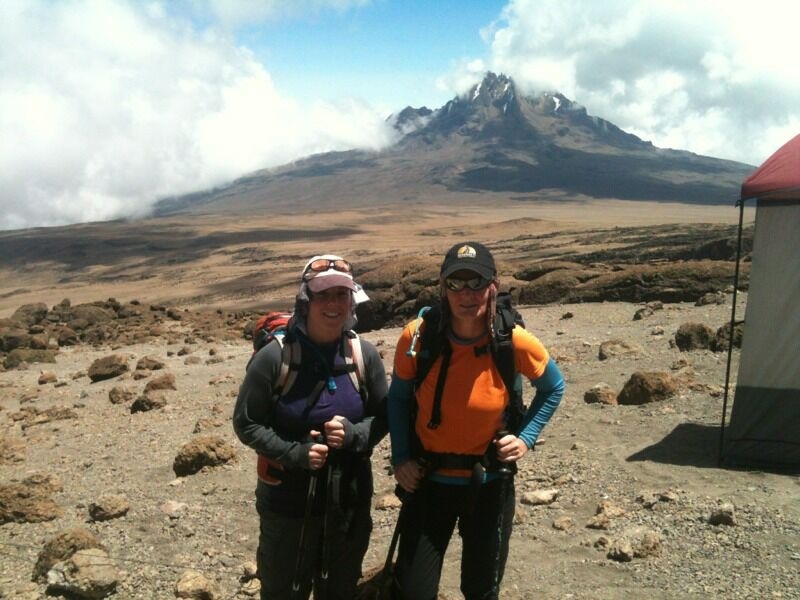 "Una and Trish have completed their climb and they are now enjoying the shower at the hotel. 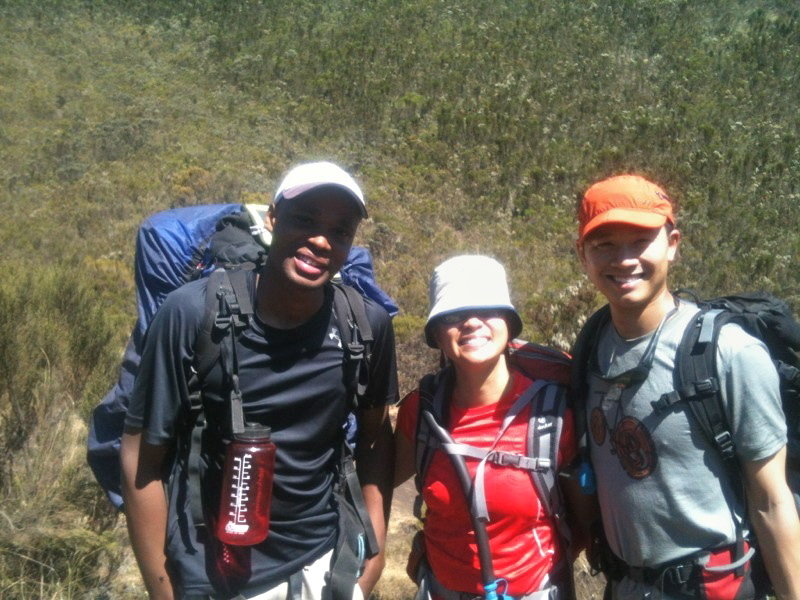 It was a great hike down the mountain." 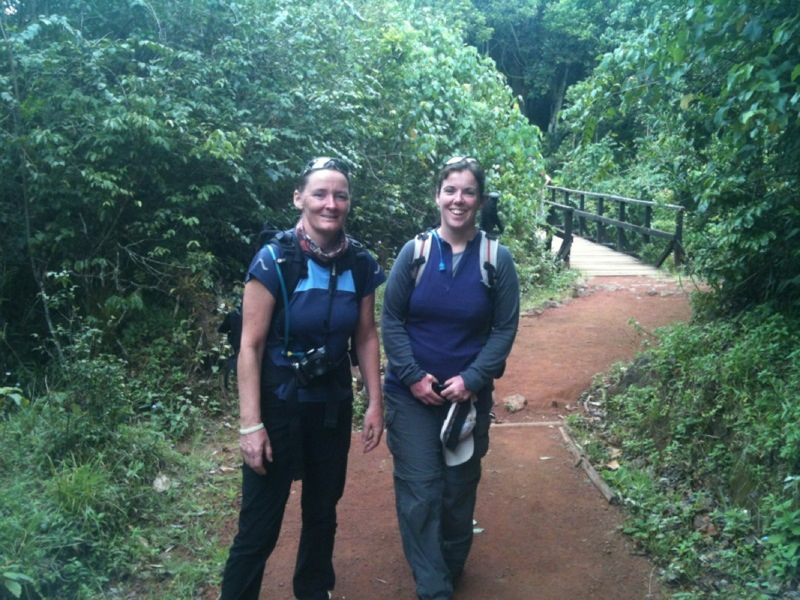 Trish & Una looking happy close to the finish line! 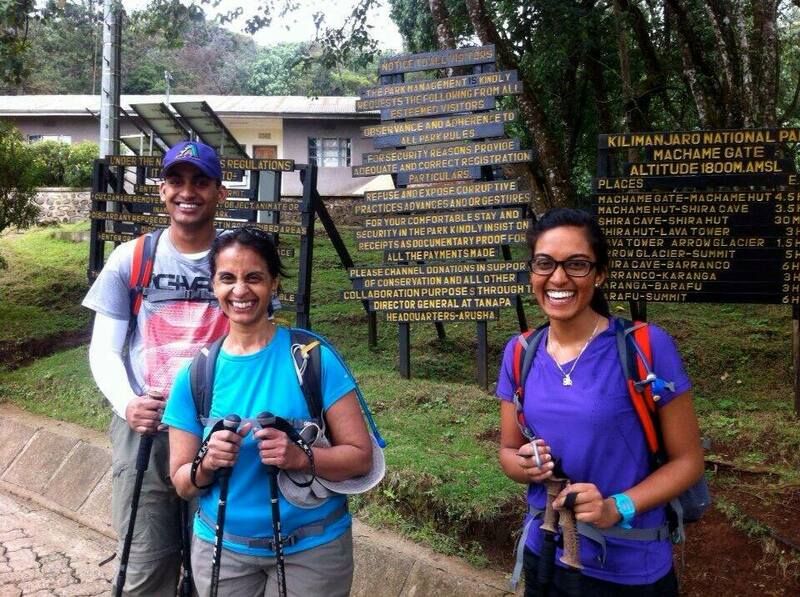 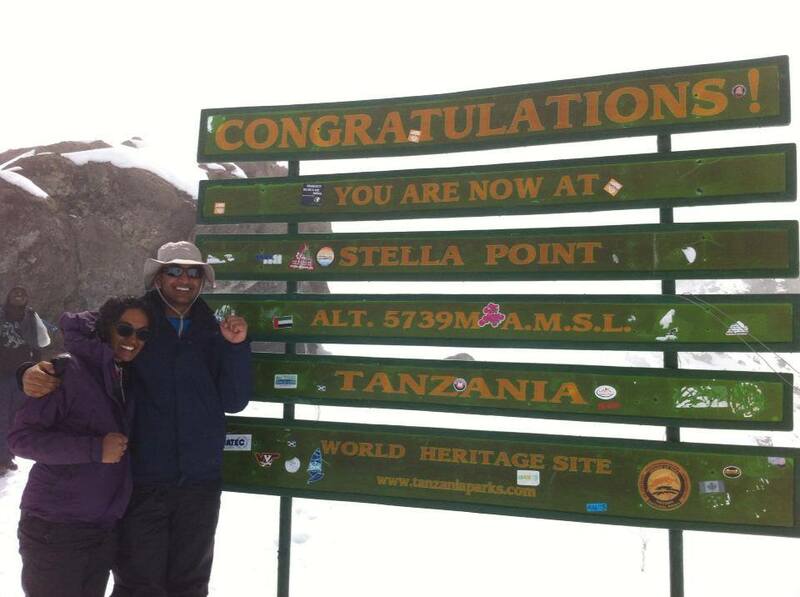 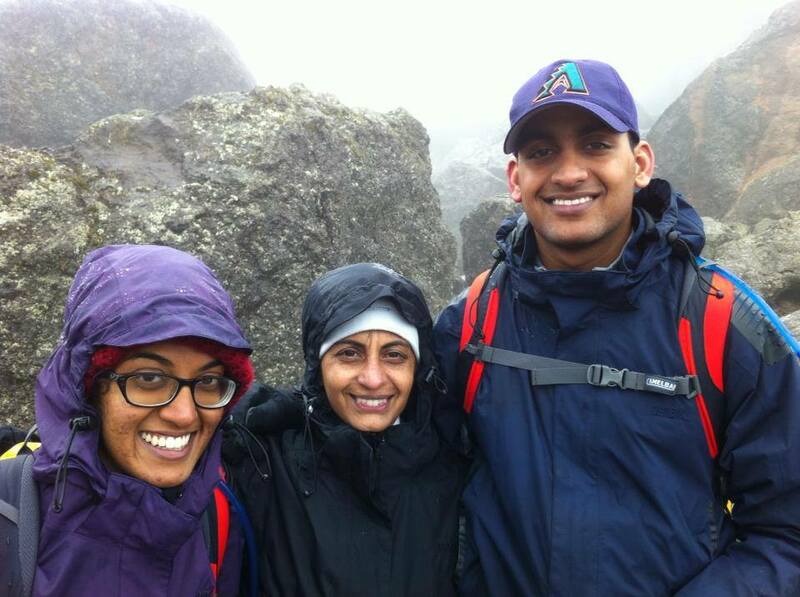 Congratulations Trish & Una and thank you for choosing Majestic Kilimanjaro to lead you on this adventure! 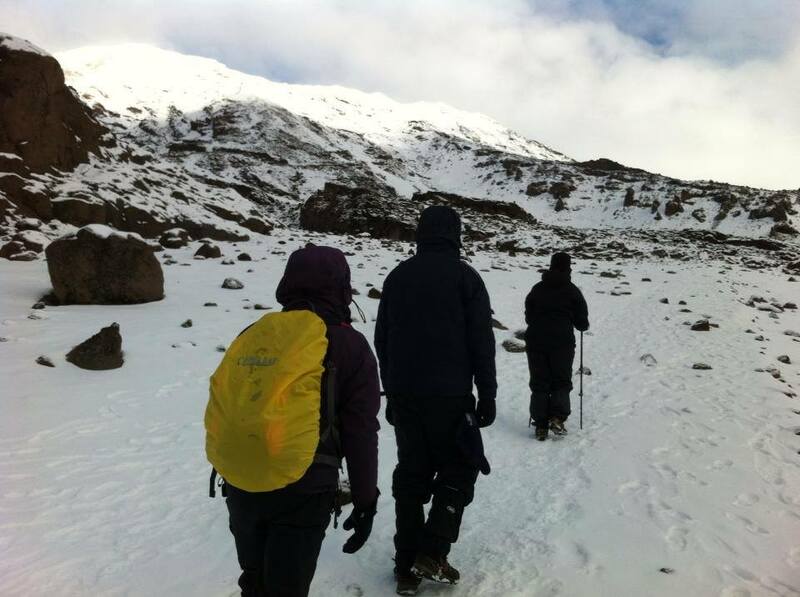 "We are now at the base camp and we will not summit tonight but on the 5th night (27/1/13) which will give us another day to acclimatise. 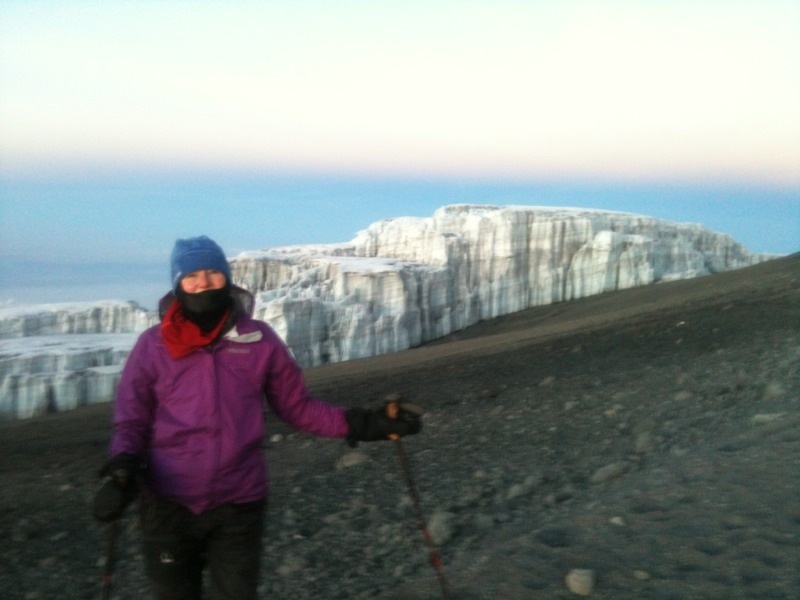 Trish is a bit better, and I will keep monitoring her. 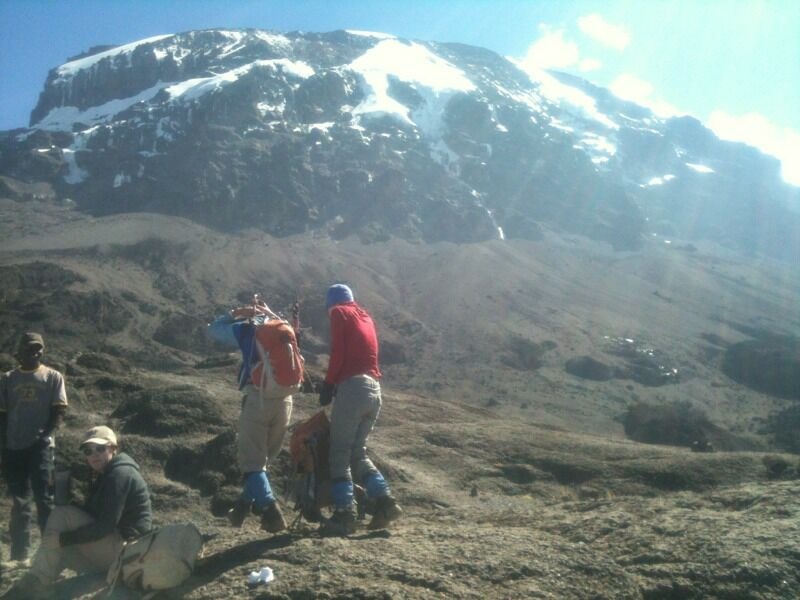 Una is doing well although she has mild headache which is normal at this altitude."